Preamble: We started this journey the same day we finished our thru-hike of the Great North Walk. That trip is described in its own article. 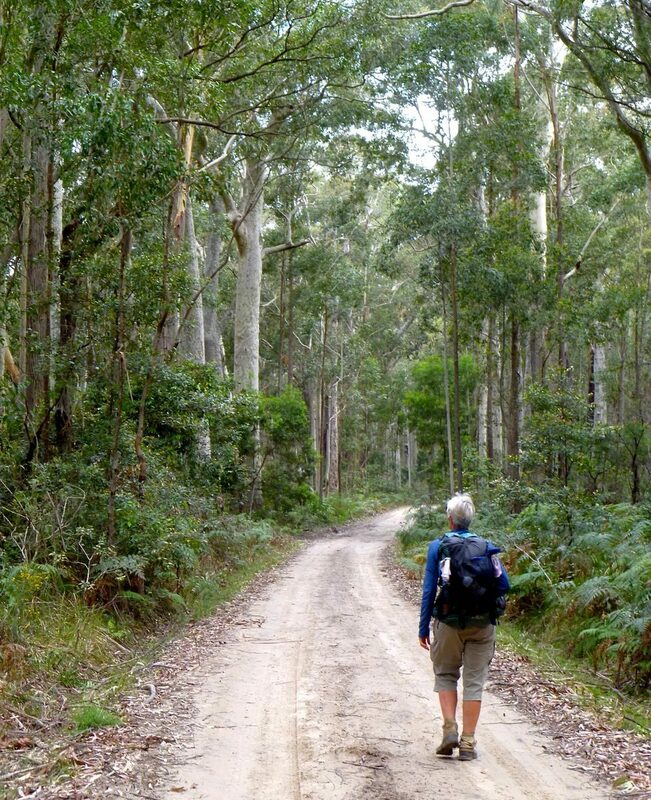 Postscript: When we book flights for a long walk we always allocate more days than we expect to need for the hike. 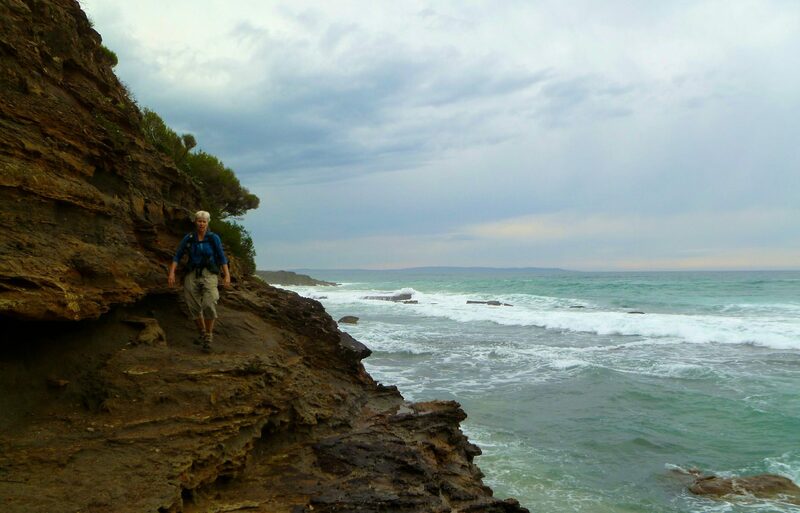 On this trip we reached Malacoota five days before our flight home and used that time to walk an additional 57 miles in the coastal hills, primarily for birding purposes, take a pelagic birding trip out of Wollongong, and get ourselves back to Sydney. 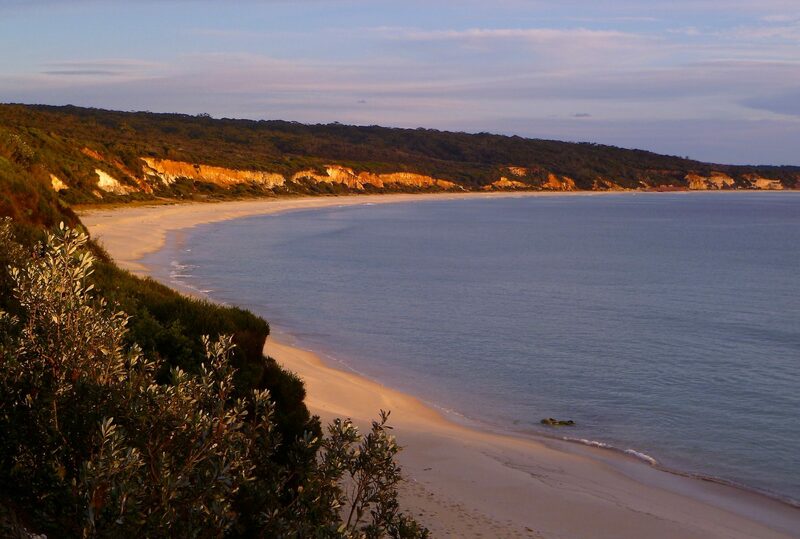 The Brieses designed the Great South Coast Walk (GSCW). Their original trip report includes photos and a narrative of their journey. Additionally, they publish a well organized and thorough route guide. Their personal website is called Gang-Gang, a fine Australian cockatoo, and we refer to them as such throughout the rest of this report. We used a series of large-scale paper maps published by Cartoscope. These maps were very helpful to see the big picture and were available free at Tourist Information Centers along the way. Printed maps can be made using CalTopo, which has a fantastic tool for creating pdf map sets. The Morcombe & Stewart Guide to Birds of Australia. Field Guide to NSW Fauna. 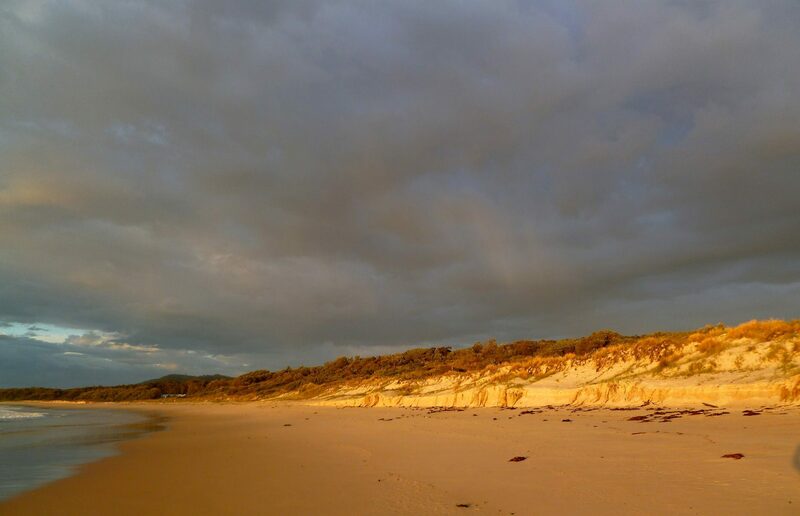 Beachsafe has detailed information about every beach in Australia. 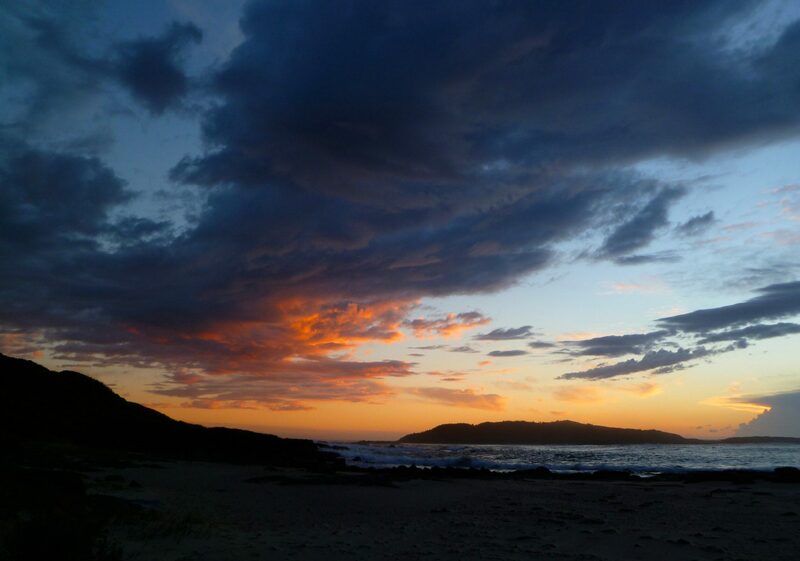 Oz Weather Plus – Australia. We used Pocket to save all of the pages of gang-gang’s trip report for offline use. It is critical to have tide charts. We used an app that is no longer maintained; there are many other tide apps to choose from. 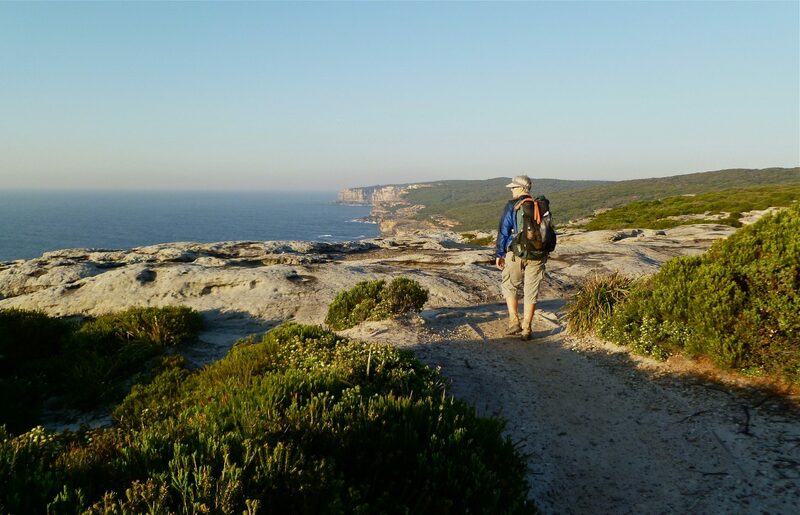 We were inspired to walk in Australia by the Brieses’ trip report, and are deeply indebted to them for the work they did creating this terrific route. They provide extensive information including links to their gpx/kml files, so it was easy for us to take their data and adapt it to our needs. 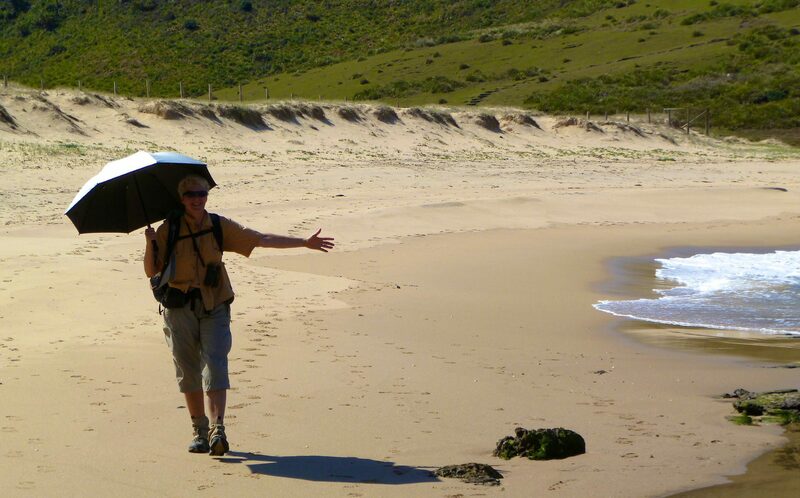 We had already taken long backpacking along coasts in California, Oregon, England, Wales, France, Spain, and Turkey and we knew that we loved the wildlife and scenery that comes with a long coastal walk. It took us only ten minutes after reading their trip report to decide that the GSCW was a walk we wanted to do. The web helped make it surprisingly easy to organize the trip, even from the United States. Click map to open an interactive CalTopo map in a new browser tab. Instructions for using CalTopo. The walk starts and mostly stays on the coast. Camp#1, five star site, with Sydney in the background. The second morning dawned with a perfect day as we headed south through Royal National Park. We carried Go-Lite Chrome Dome umbrellas to protect against both rain and hot sun. 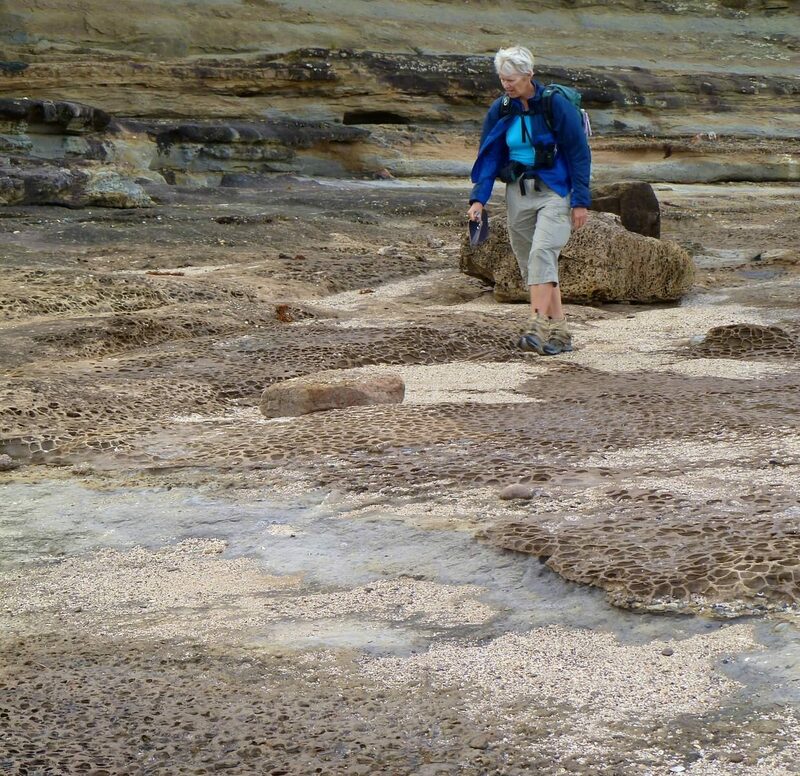 Sometimes the trail crossed areas of interesting eroded rock. 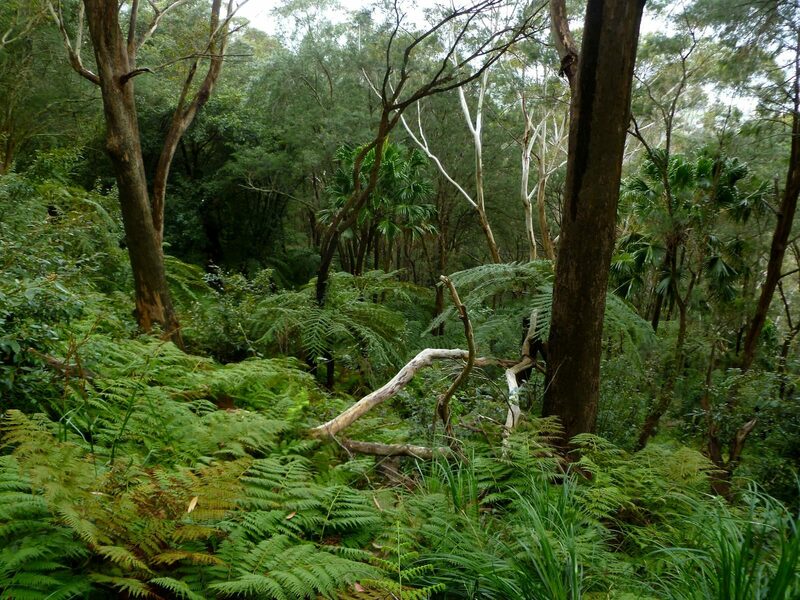 Forest at the base of the Illawarra Escarpment. 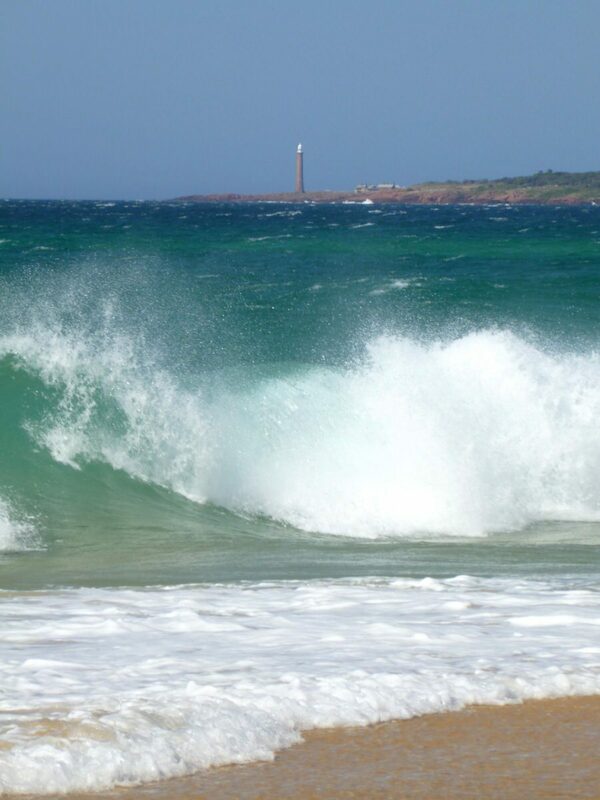 It poured rain and the winds were howling the next morning in Wollongong. We took a local train for a few kilometers to avoid walking through the steel works and then followed the streets out of town. 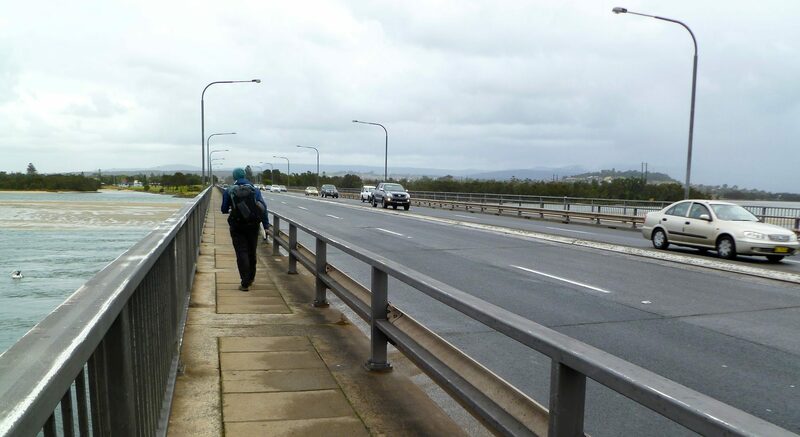 Here we cross the bridge over the outlet of Lake Illawarra. Sometimes you can’t be too careful. 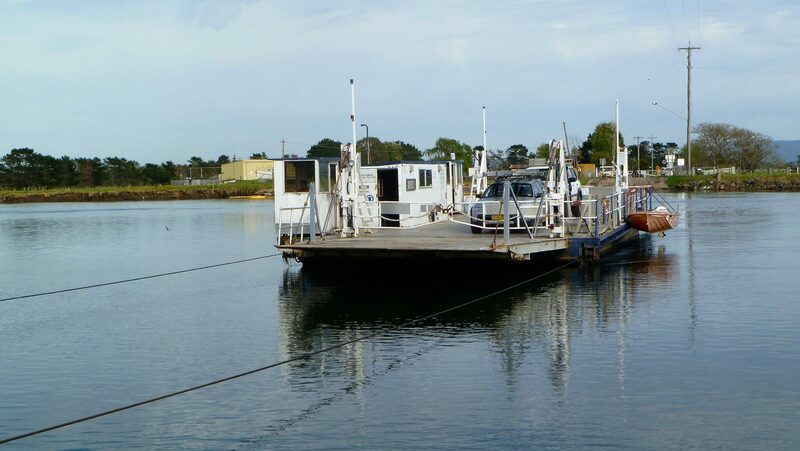 A free ferry from Comerong Island. 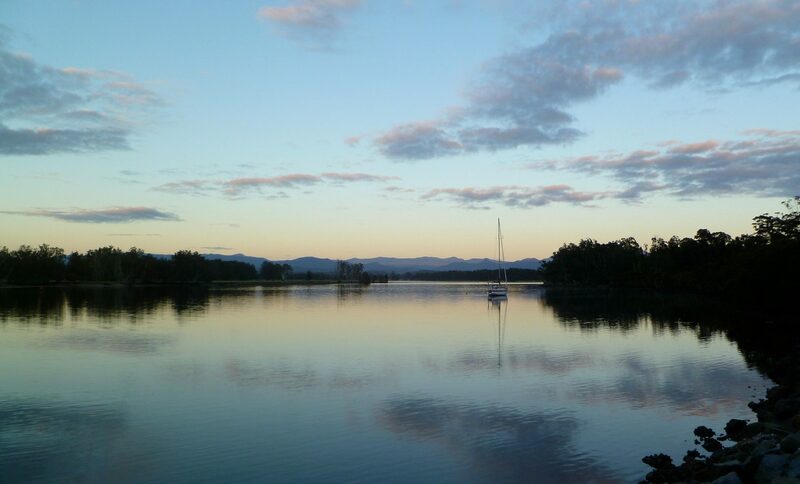 Wollumboula Lake. Black Swans and Silver Gulls. Camp #6. 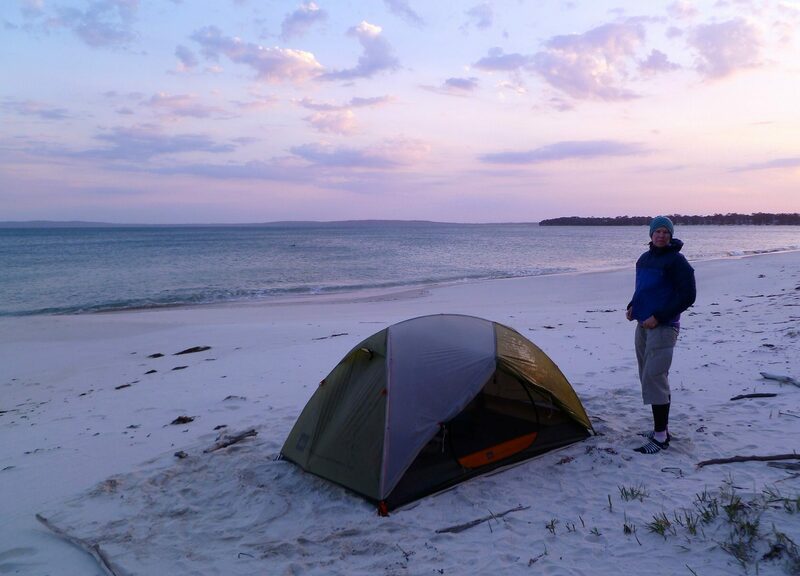 A five star camp on the beach at Jervis Bay. 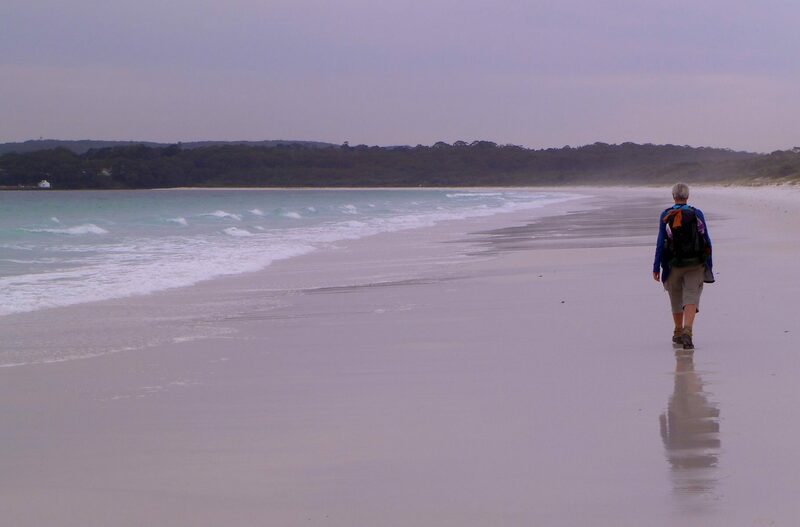 Approaching the first swim: across the Huskisson River to the town pier. Cold and grey out. Avoiding this swim would require many miles of walking to reach the nearest bridge. 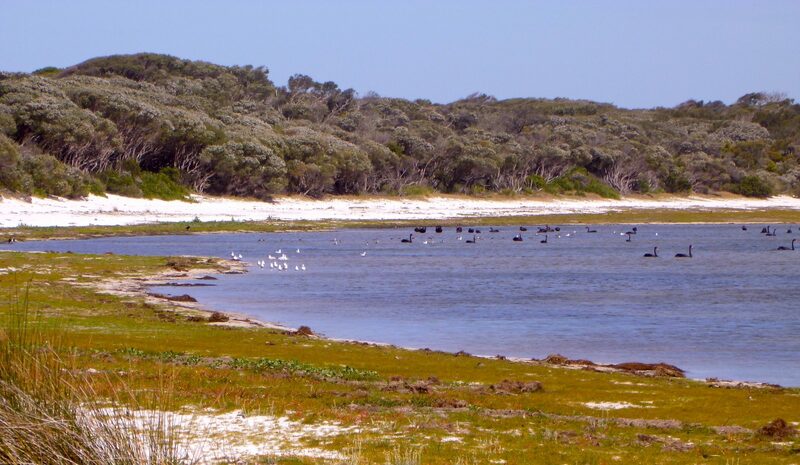 A chest deep wade across this inlet north of Narrawalle cost Jim one of his wading shoes. 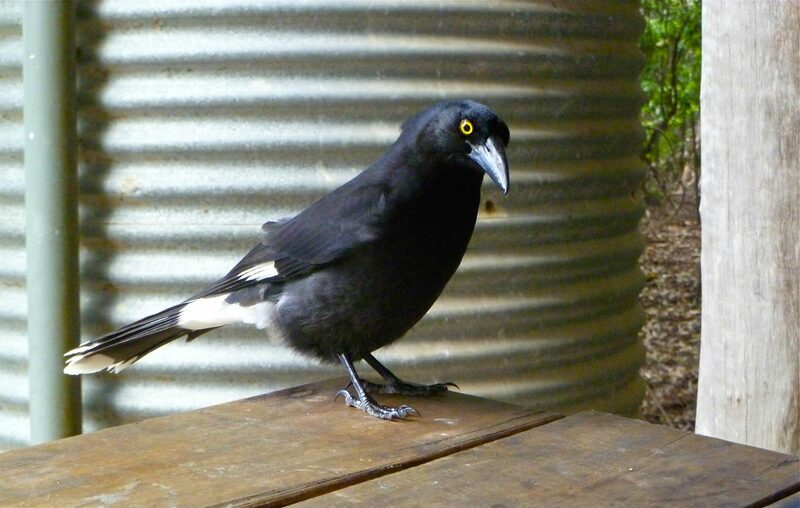 A Currawong joined us for lunch at Pretty Beach Park. 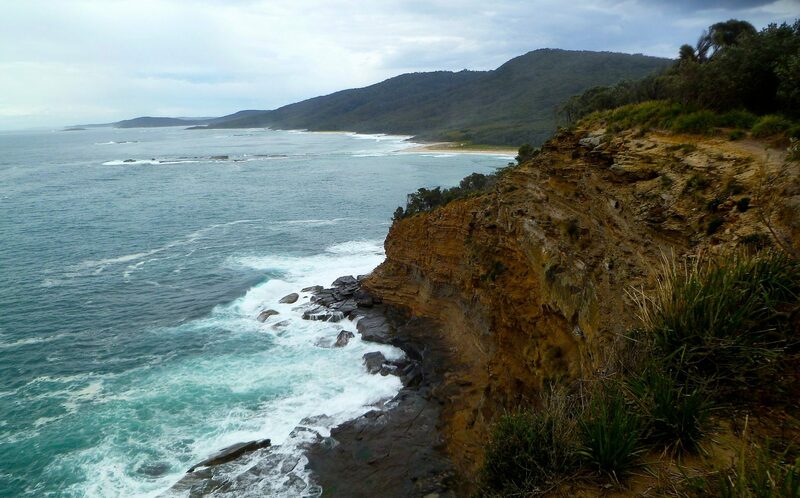 After Pretty Beach, the route goes inland across the top of Durras Mountain. 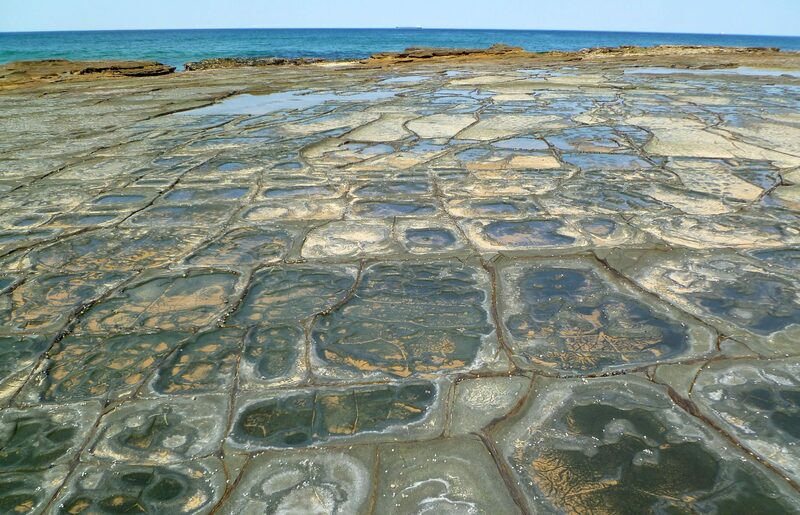 Following the rocky shoreline south of South Durras was barely possible at low tide. The route was intricate but quite beautiful. Camp #10. 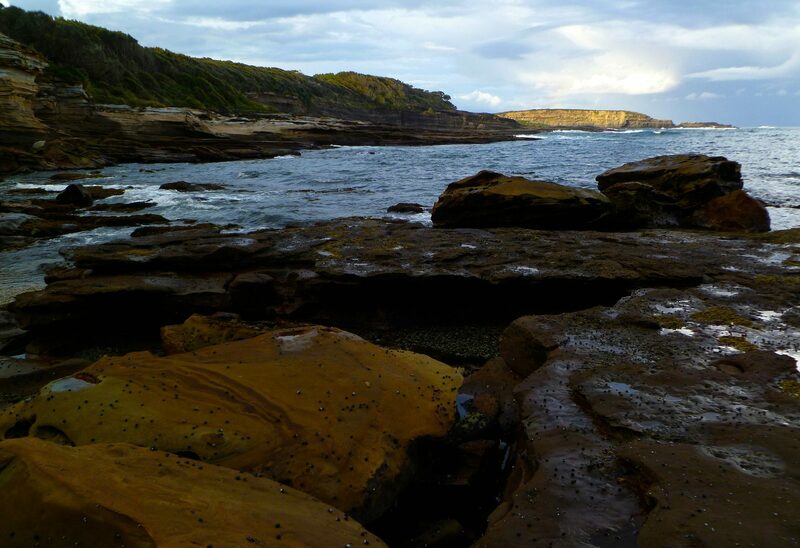 A five star campsite in a wind protected niche next to a quiet beach near South Durras. Camp #10. Storm coming in; we had a lot of thunder, lightening, and rain that night. 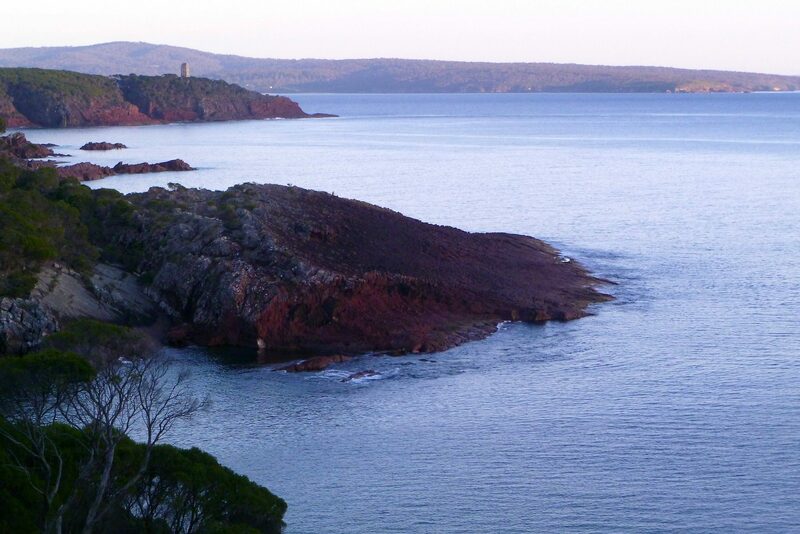 Bateman’s Bay shoreline south of town. 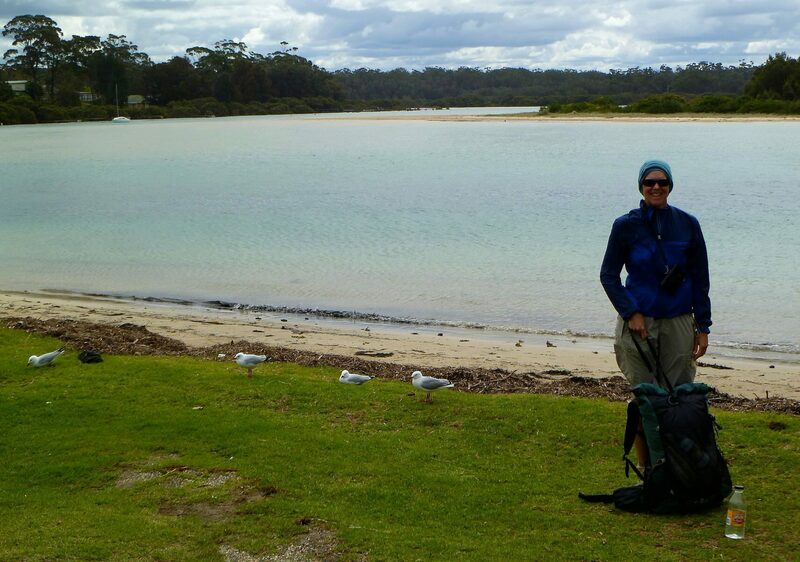 Tomakin River estuary; and Silver Gulls which were one of the most common birds during our walk. An inland track south of Broulee. Walking the road to Congo. 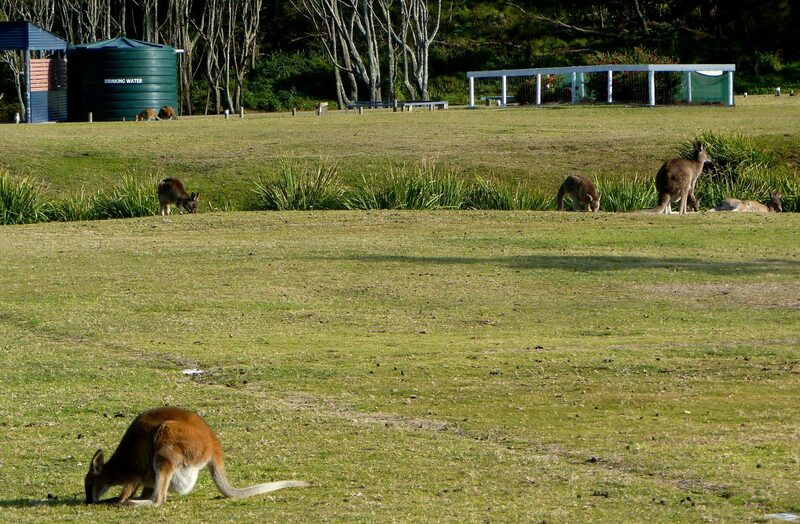 Kangaroos and Wallabies in a campground north of Potato Point. 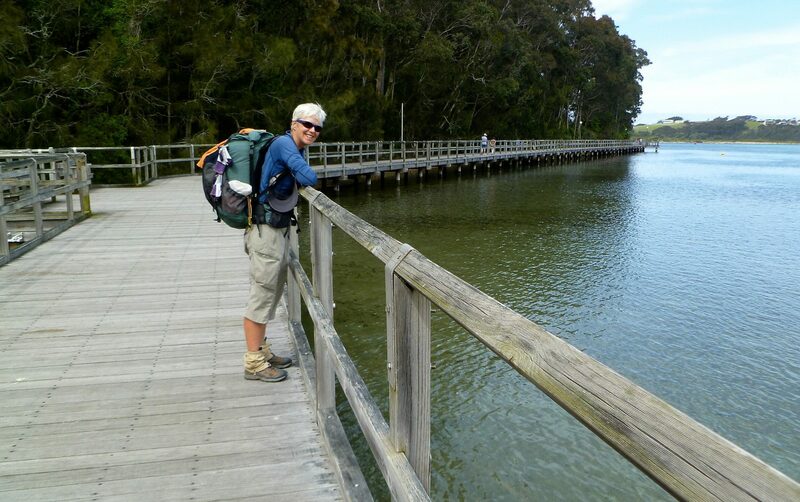 A fine boardwalk along the Narooma River. 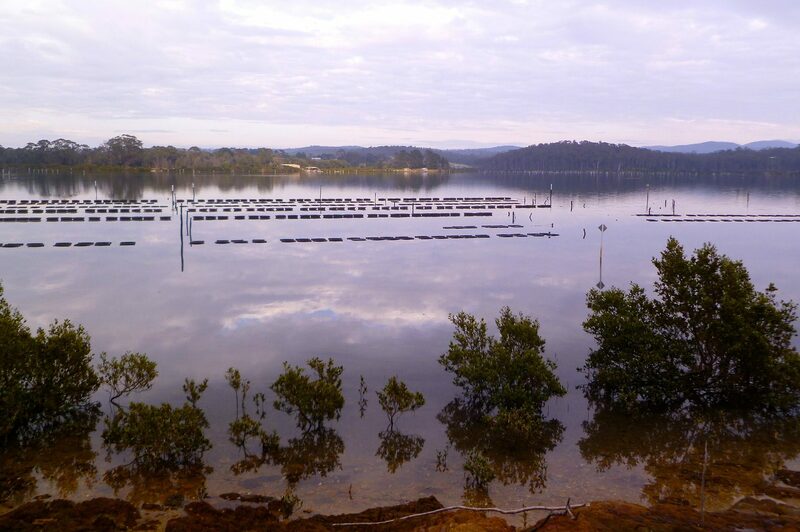 Oyster farming in Wapengo Lagoon. 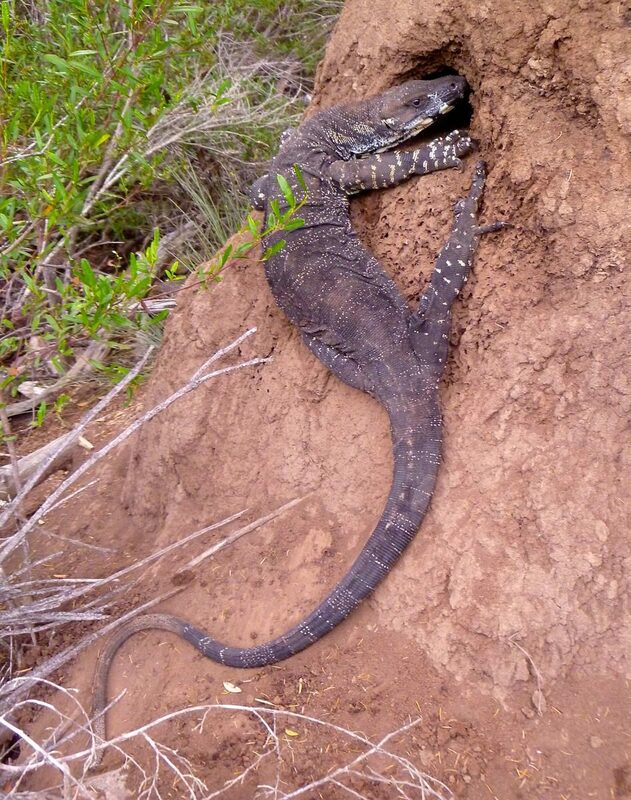 Goanna digging in a termite mound. 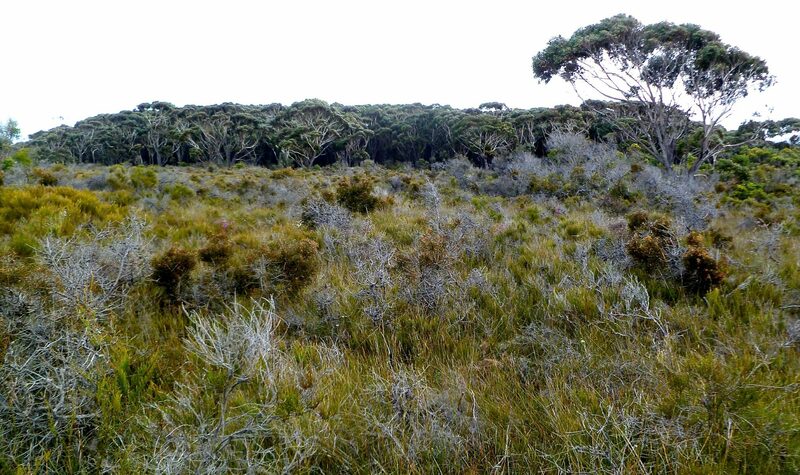 Just after a lunchtime hailstorm near Bondi Lake in Bournda National Park. 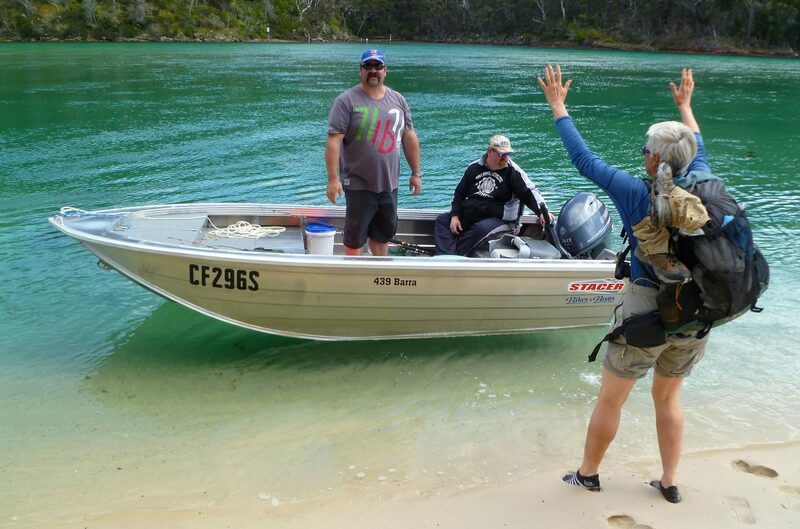 Then these two fishermen came along and gave us a ride across the Pambula River. 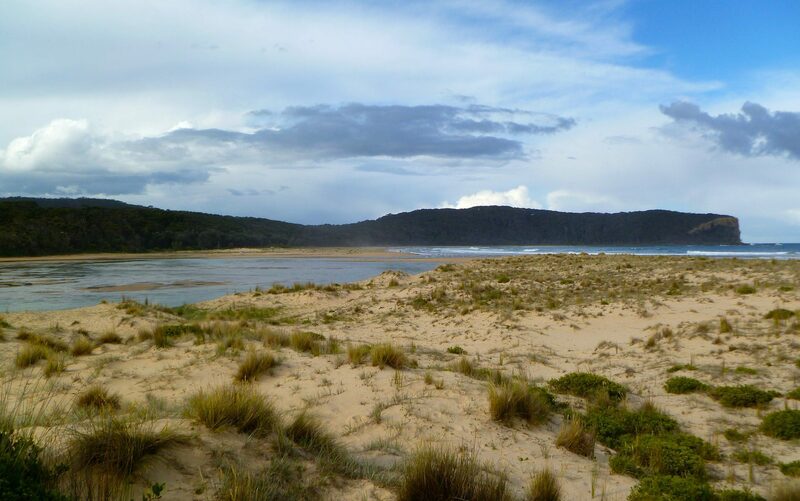 Ben Boyd National Park beach between Pambula and Eden. Camp #19. 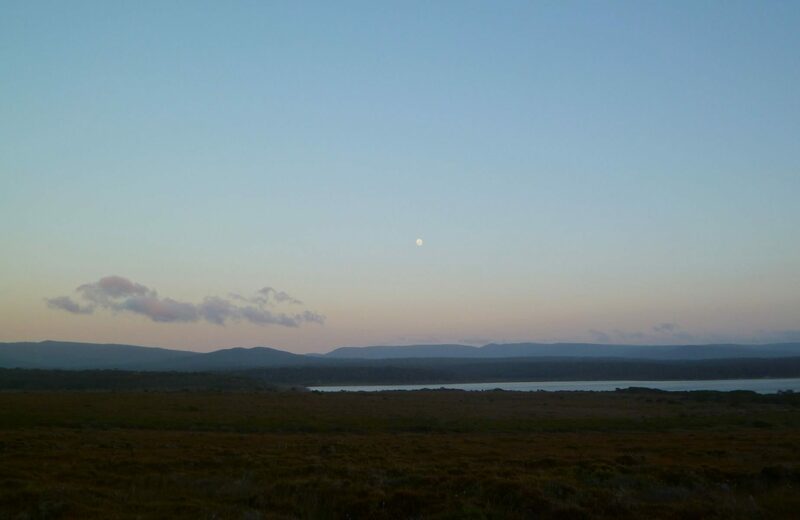 Early morning, looking north from near our campsite in Ben Boyd National Park. 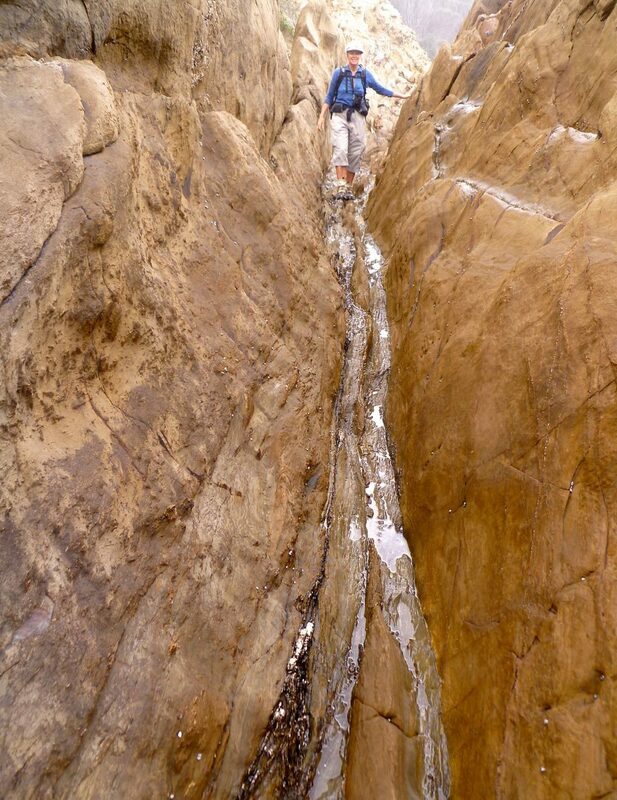 In some places, rock scrambling is the way to go. South of Eden. 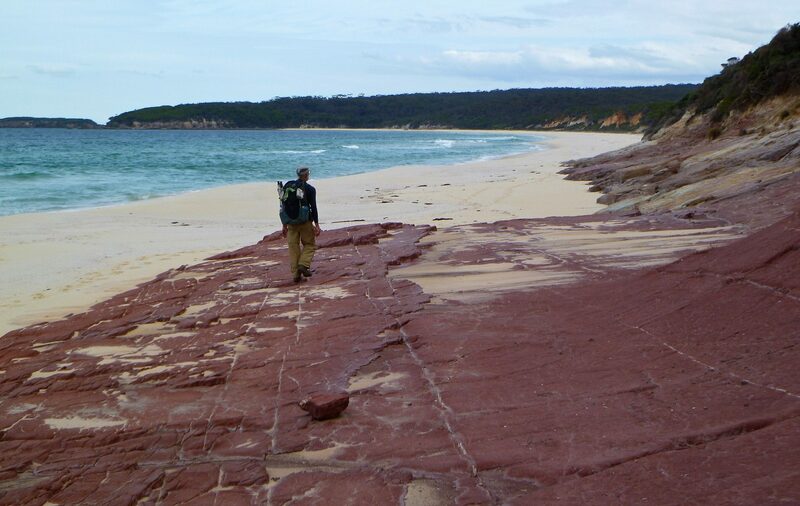 Walking along the Lighthouse to Lighthouse Track in Ben Boyd NP. L2L, Ben Boyd NP. 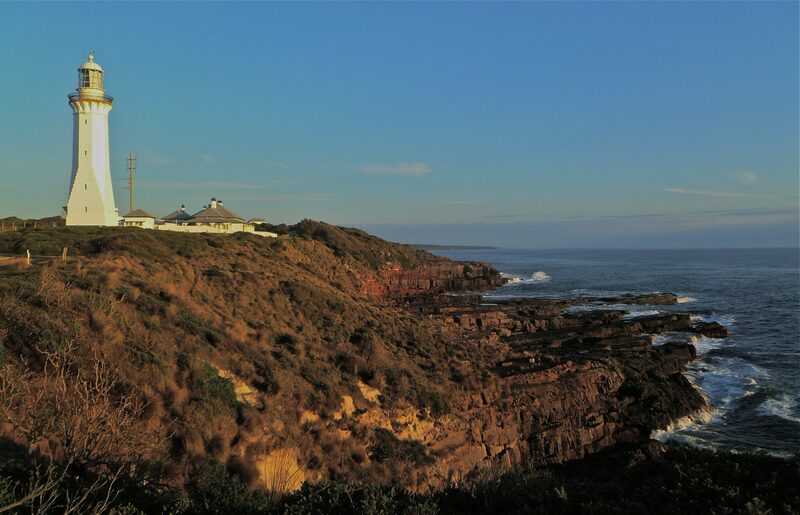 We spent all day walking from Boyd’s Tower the the Green Cape Lighthouse. 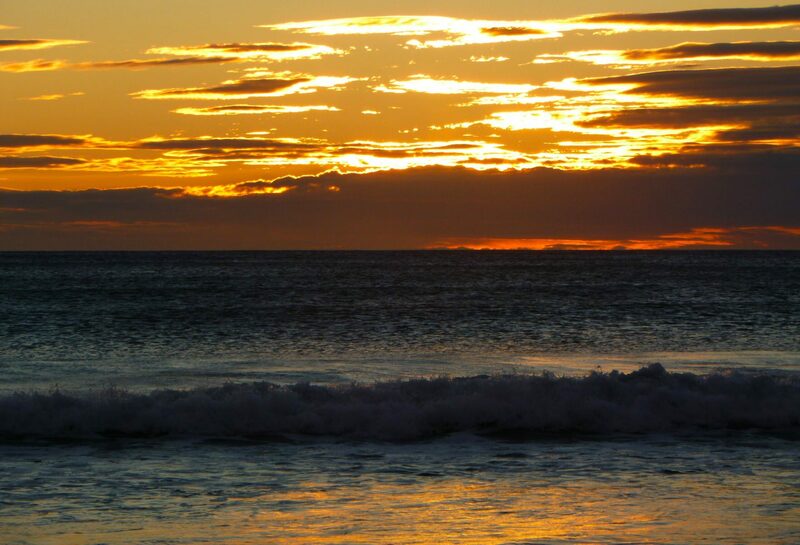 Early morrning at Green Cape on the final day but one. 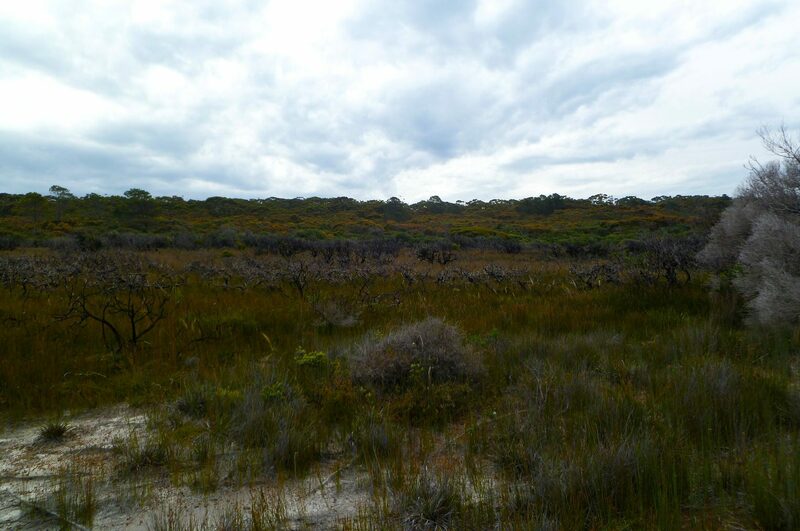 On the mid-distant right is the wonboyn River. Beyond it to the left is the Nadgee Wilderness. 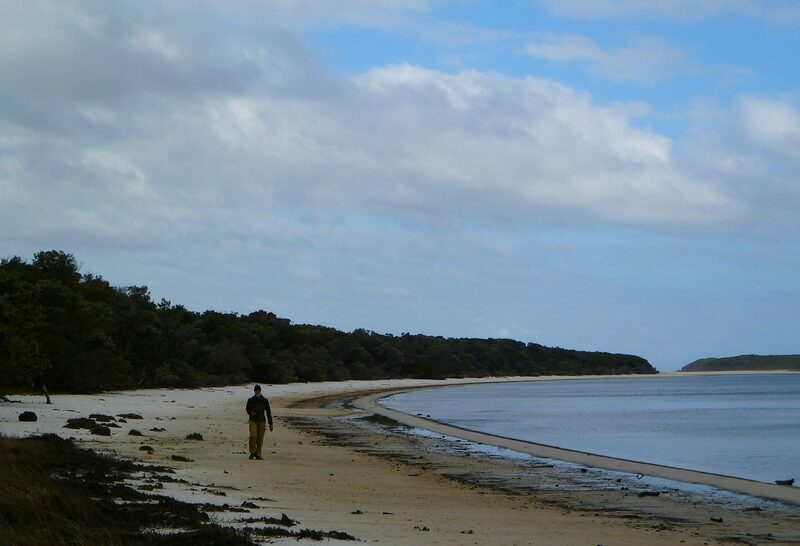 Belly deep wading here at the Wonboyn River mouth. The wind was blowing hard. 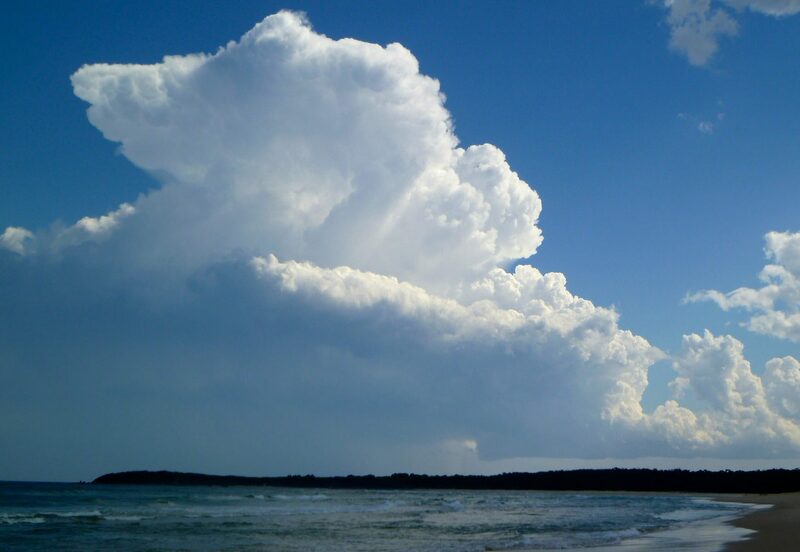 Huge clouds built up as we approached Mallacoota. 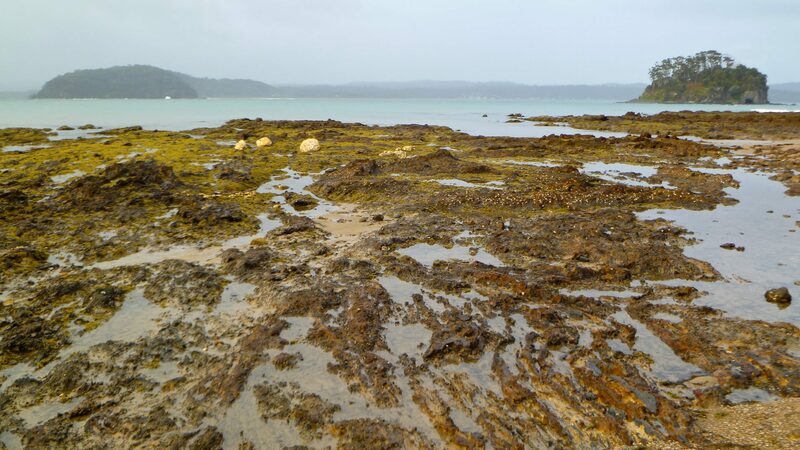 A short but drenching rain hit just as we reached the mouth of the inlet. Looking back toward Cape Howe. The end of a long and satisfying walk. We have more photos, including captions. I thoroughly enjoyed this trip in every respect. It is one of my ten favorite trips of all time. The birds were abundant, noisy, and not shy. We had the best whale viewing of our lives. We had many five-star campsites. 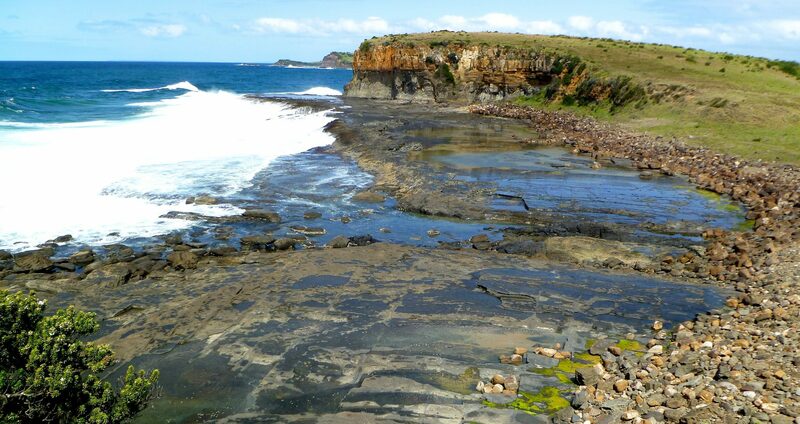 The coastal scenery was beautiful and interesting and diverse. 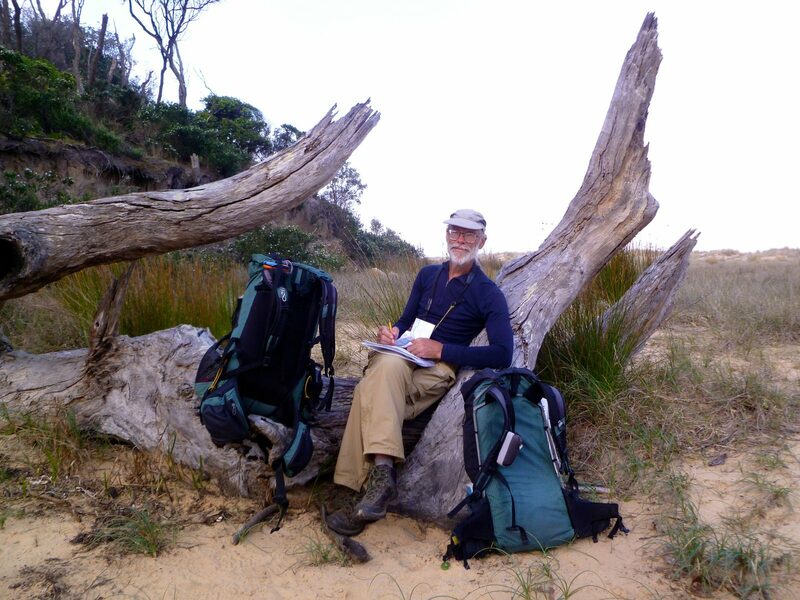 I enjoyed figuring out how to cross each coastal river and estuary, and it gave the whole trip a sense of adventure and discovery. It was fun to hitch across some rivers by talking to people at boat ramps or waving at passing boats. And wading and swimming those rivers which were safe to cross without a boat ride was novel and sometimes exciting. 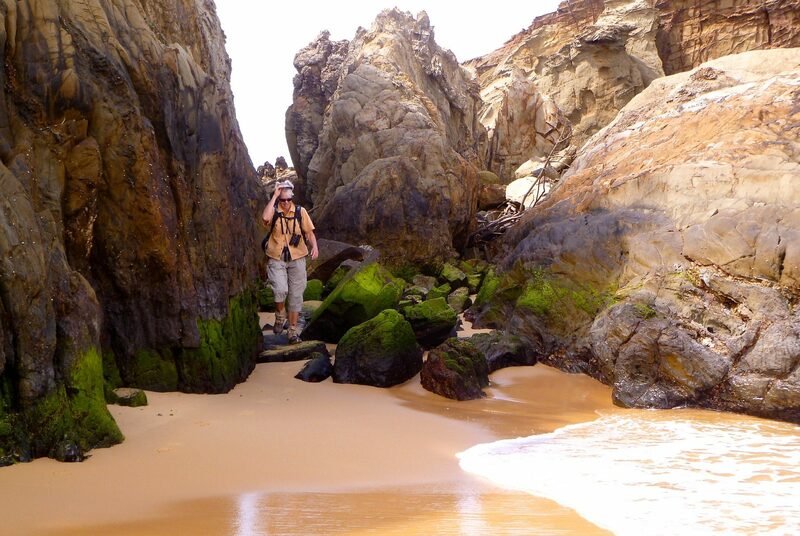 Adapting to tides and finding routes through the rocky coastal sections was sometimes challenging but never onerous, and it contributed the sense of adventure that is not present when hiking on a predefined trail. 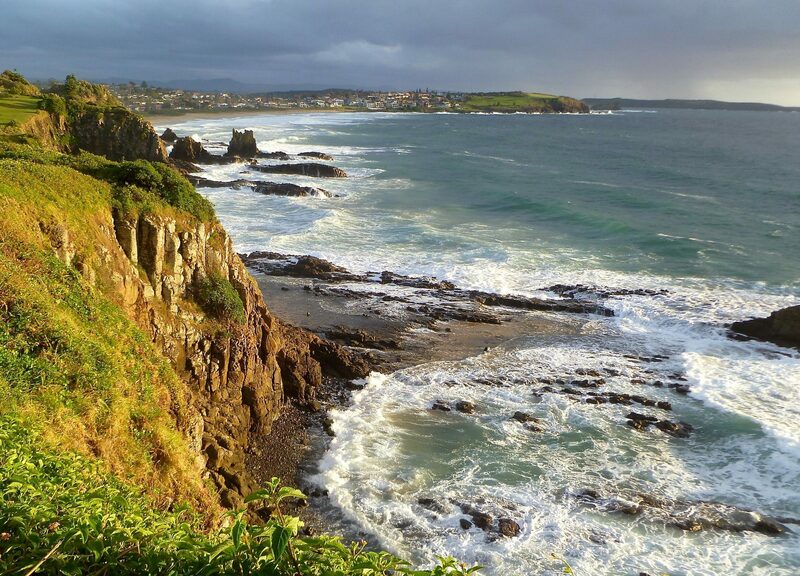 Although there are many small communities along the coast nearly all of them are contained and not sprawling. Most of the coastal walking felt wild and isolated. The communities made logistics very easy without distracting from a wild and scenic walk. 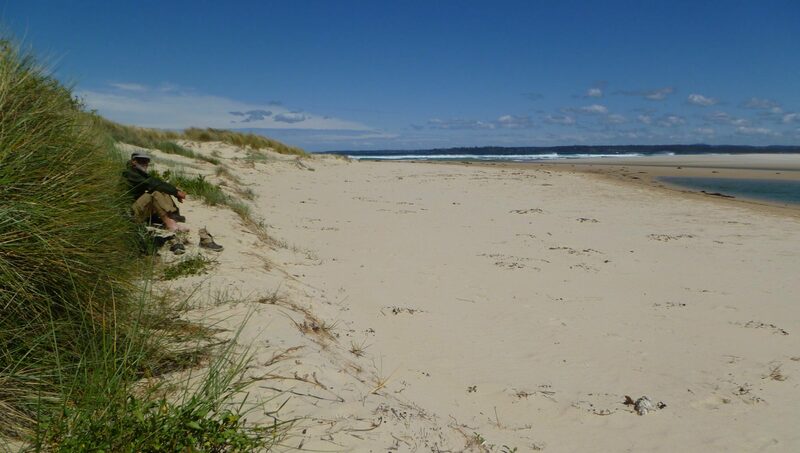 We were there while schools were in session; perhaps during the summer holiday the beaches would have been busier and not felt as remote. I can not thank the Brieses enough for designing the route and then investing time and effort to publish the route description, including gpx data. We would never have taken this trip without their inspiration and information. Their trip report and route guide is a major reason we decided to take the time to create this website, and we hope that our site gives as much joy to somebody as Gang-Gang gave to us. The GSCW was one of the most fun and interesting walks I have ever taken. The coastal scenery is mostly excellent. 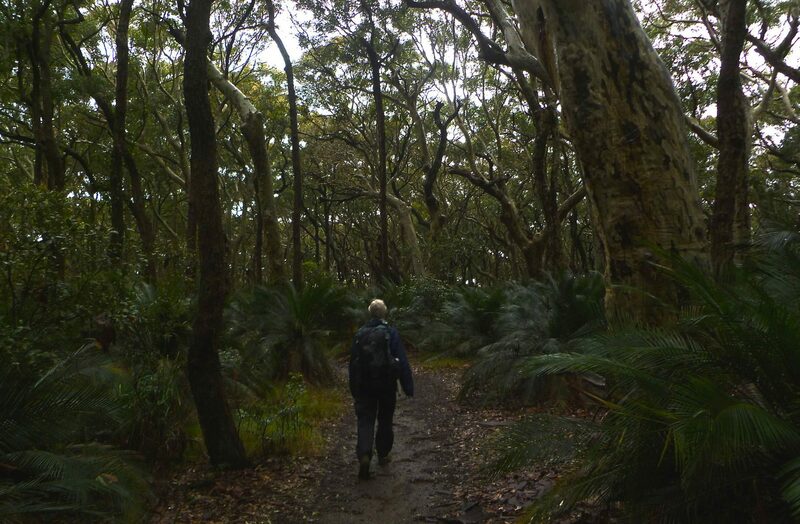 While the walk is not a wilderness hike, the areas with human presence did not detract from my enjoyment of the trip. 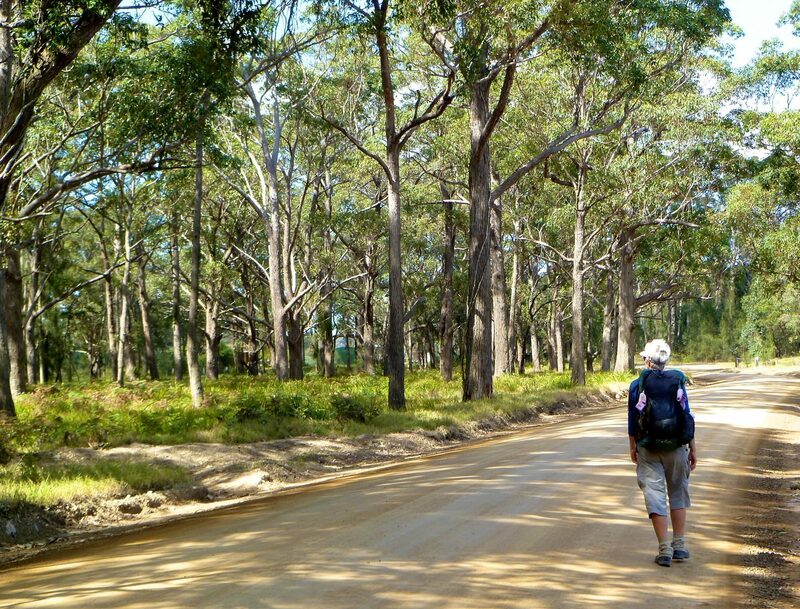 Birding in Australia is as good as it gets and added much to the quality of the walk. I liked that the route was just that, a route, and not a specific trail. We had a sense of exploration, particularly as we confronted the various water crossings, as we rarely knew exactly what to expect at these obstacles. 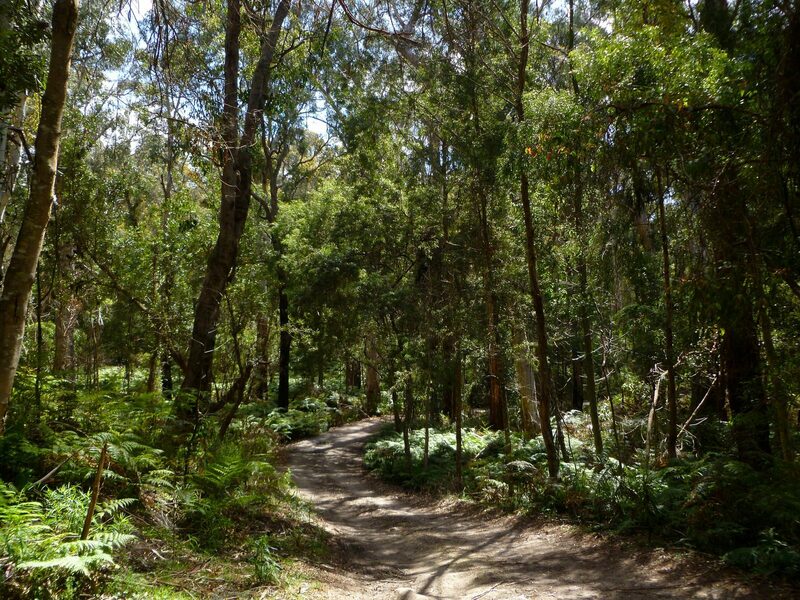 Anyone who wants to do a long walk that is both different and highly enjoyable could not go wrong with this one. 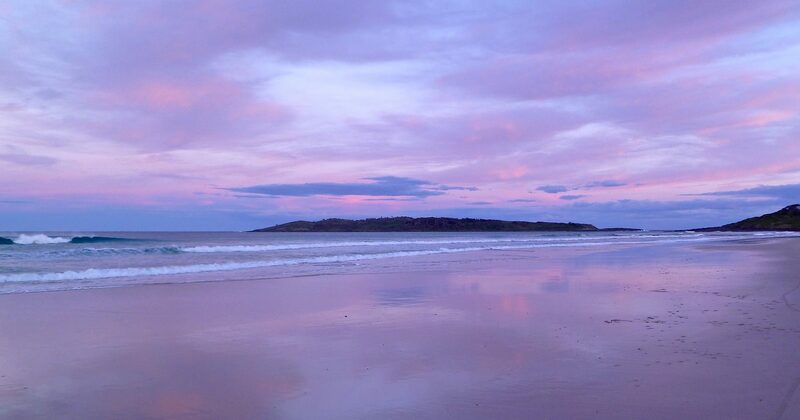 The GSCW follows the coastline as closely as practicable from Bundeena, a suburb south of Sydney, to Mallacoota, the first town south of the New South Wales/Victoria border. 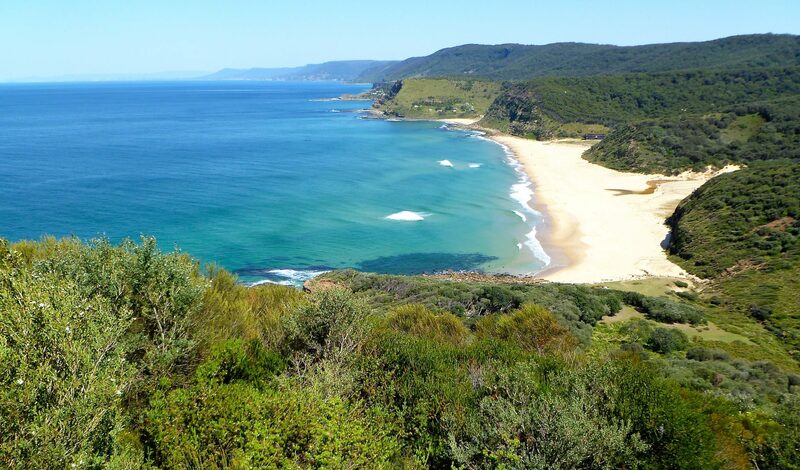 Along the way, the walk traverses sandy beaches, rocky headlands, eucalyptus forests, tidal lakes, lagoons, estuaries, small towns, the city of Wollongong, and many National Parks and Preserves. For such a long walk on such a settled coastline, there was surprising little road walking and most of that was on very lightly trafficked byways. 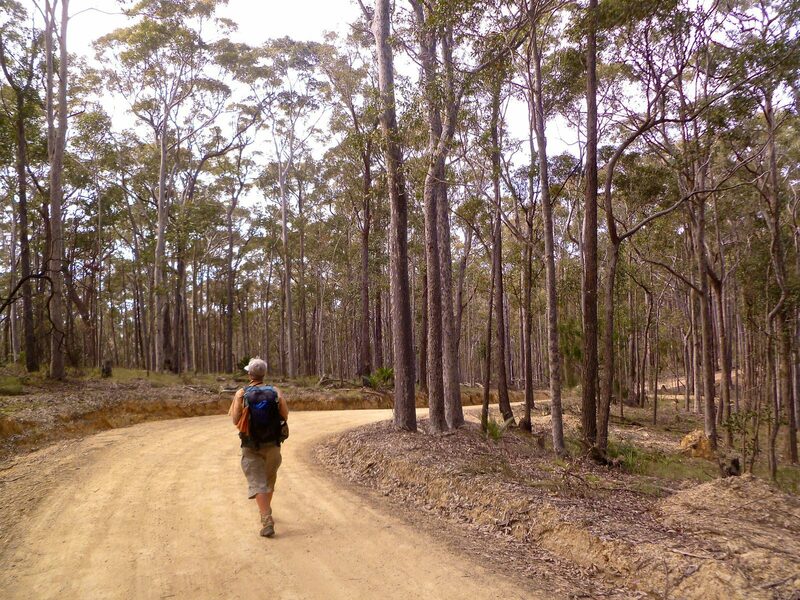 The GSCW is not a formal trail, and there are no way-marks, route guides or strip maps. 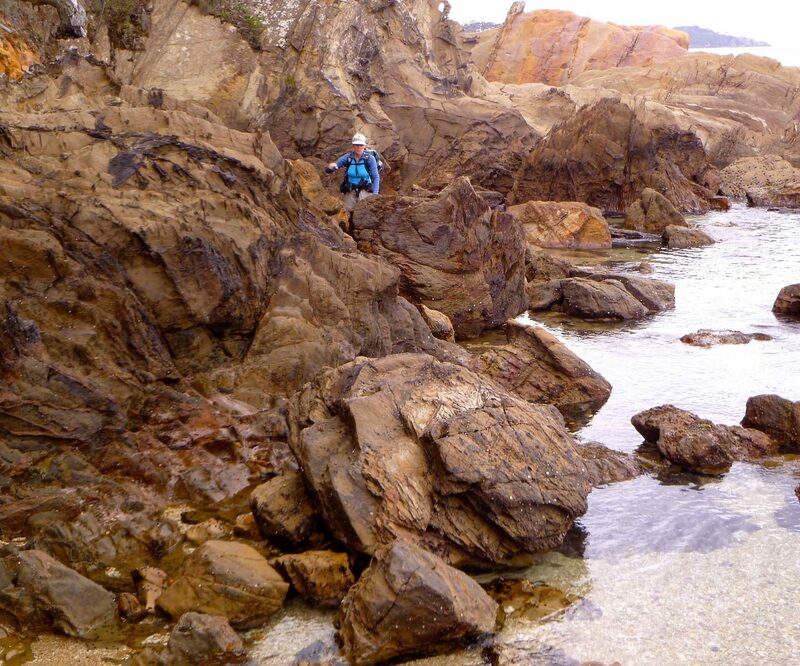 Much of the way is straight-forward beach walking or on maintained local trails, however we also used our own route-finding skills on sections of rocky coast, the passage of which is dependent on the tides. There are many river outlets and estuaries to cross by whatever means are at hand: bridges, ferries, wading, swimming or opportunistic rides with local fishermen. The quality of this walk is very high. 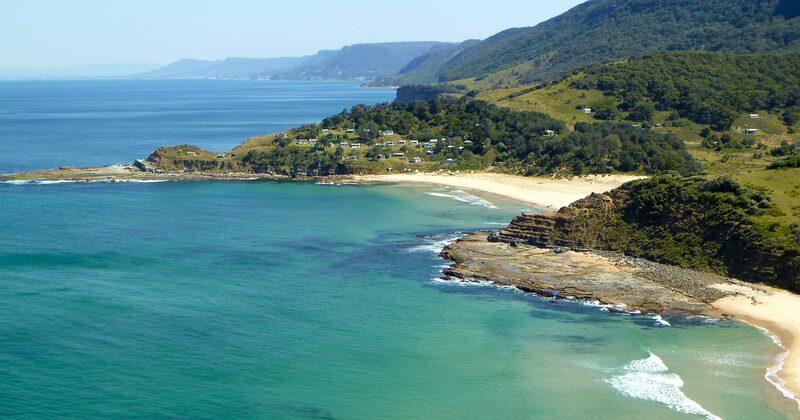 The coastal scenery is world class and almost continuously good. 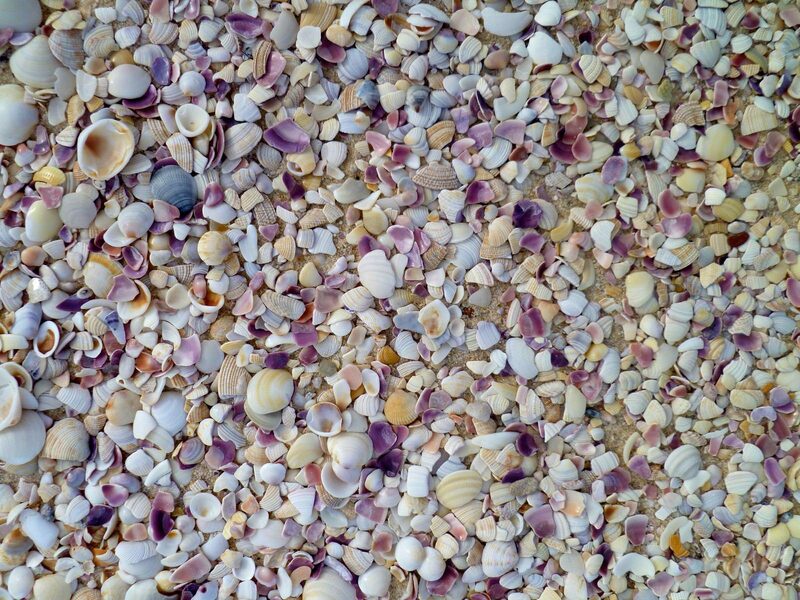 There is enough variety that we were never bored. The walking is easy with very few places that required scrambling. Resupply was not a significant problem as there are a number of towns along the way. The small towns were interesting and sometimes charming. 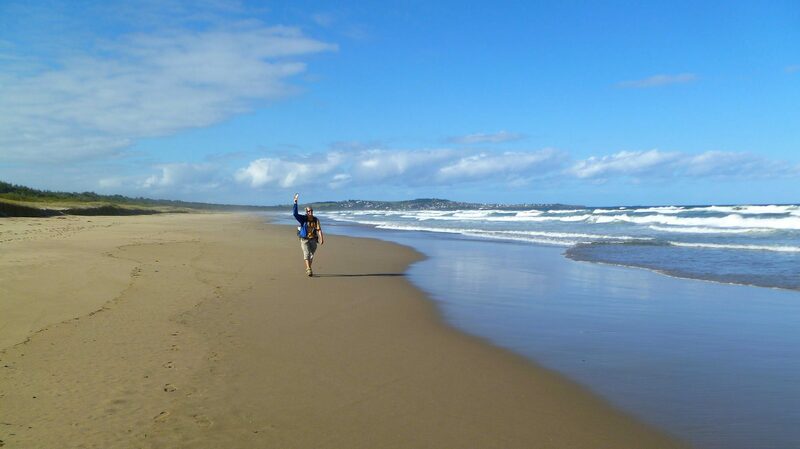 While we were there, the trails were empty of people and the beaches rarely had more than the occasional surfer or fisherman, even though our trip encompassed a week-long school holiday. Likely things would be more crowded in the summer holiday period. This is not a wilderness walk as you pass through towns nearly every day. 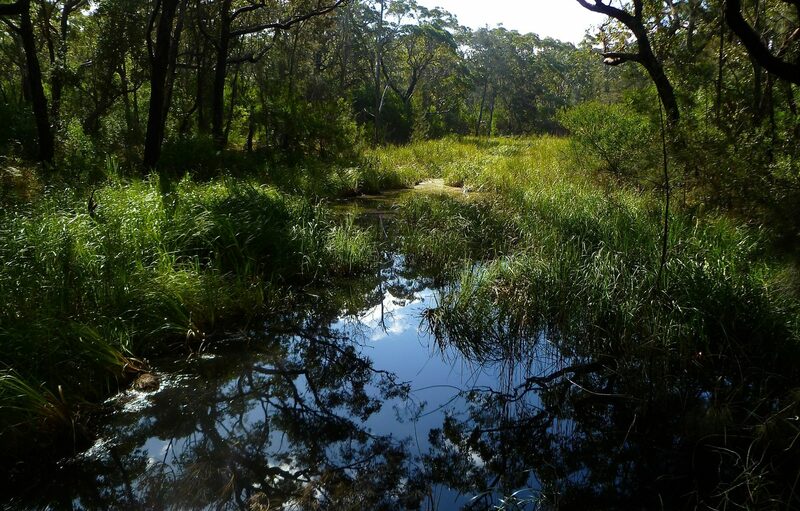 However, there is still a sense of wildness, particularly in the south in Ben Boyd National Park and the Nadgee Wilderness Preserve. There was little sign of heavy human touch in these parks. Most of the beaches, even those close to small towns, are nicely isolated from commerce and development and feel quite pristine. 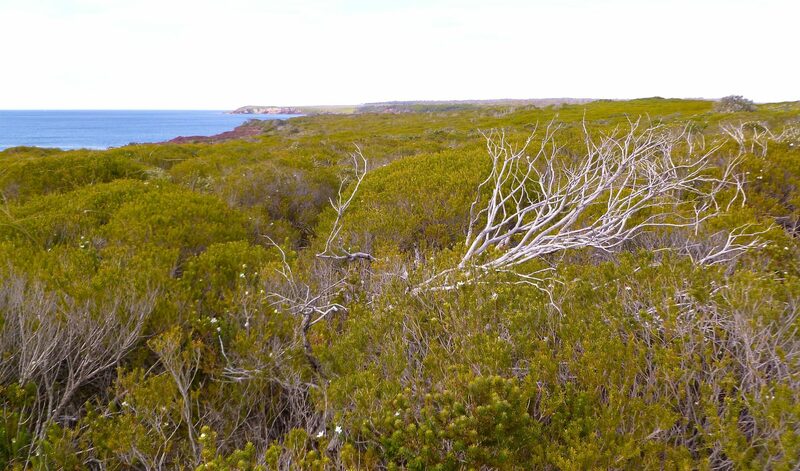 There are also sections of coastal woodlands that were seemingly intact with little signs of logging or other activities. Our route was about 670 kilometers long. As far a Gang-gang knows, we are the first people to thru-hike the GSCW end-to-end in one continuous trip. Along the way, we took a 6-kilometer train ride in Wollongong to avoid walking through the local steel works in a howling rainstorm. 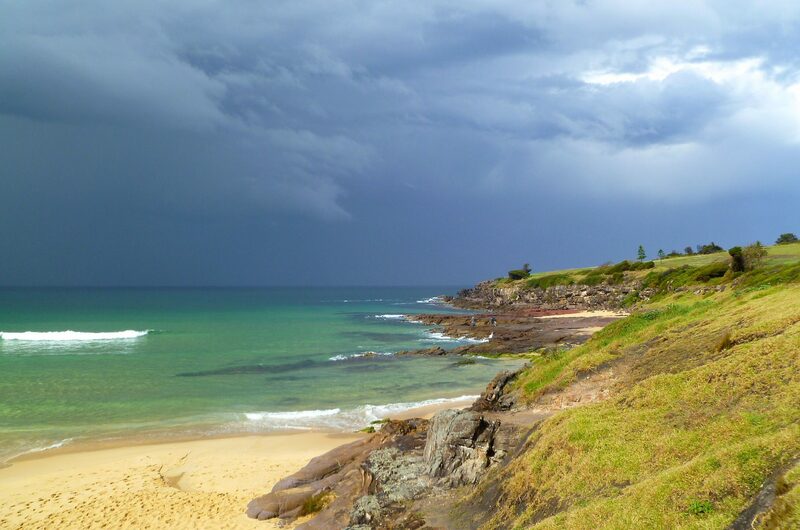 Again in the rain, we hitched a 4-kilometer ride into Bateman’s Bay to avoid walking the narrow shoulder of the very busy Princes Highway on a holiday weekend. Our walking route generally followed the route Gang-gang mapped but with a few significant differences. 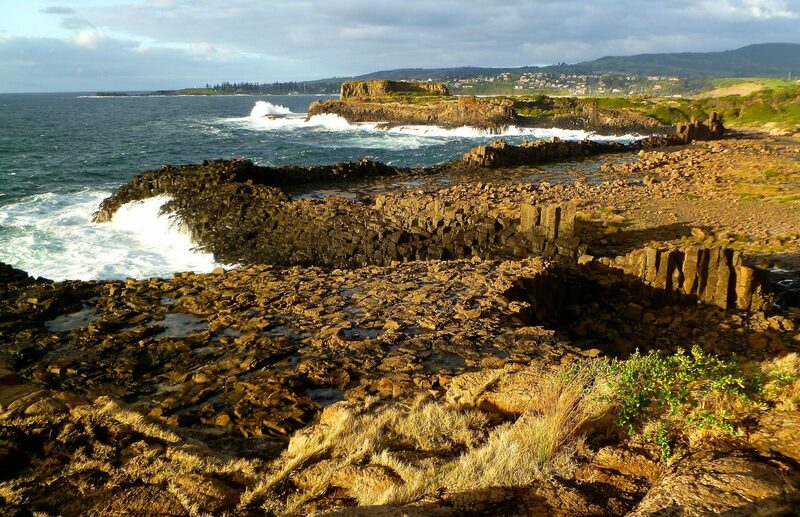 Kiama Coastal Walk: This fine trail was relatively new and extends from Minnamurra Point through Kiama and on almost to Gerroa. The trail eliminated a portion of Gang-gang’s route that crossed private property. Bateman’s Bay: Gang-gang got a boat ride with friends across Bateman’s Bay to Corrigan’s Beach. We had to walk around the bay and into town. 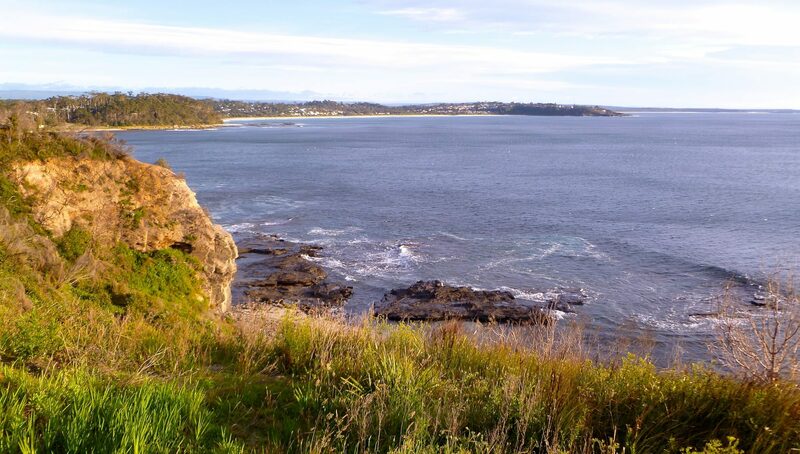 The route we followed, Cullendulla Drive from Long Beach to Princes Highway, was not carefully thought out and could possibly have been improved by following the shoreline from Long Beach and crossing the creek mouth west of town and then along the shoreline past Surfside to the Bateman’s Bay Bridge. The creek crossing may be a shallow wade. 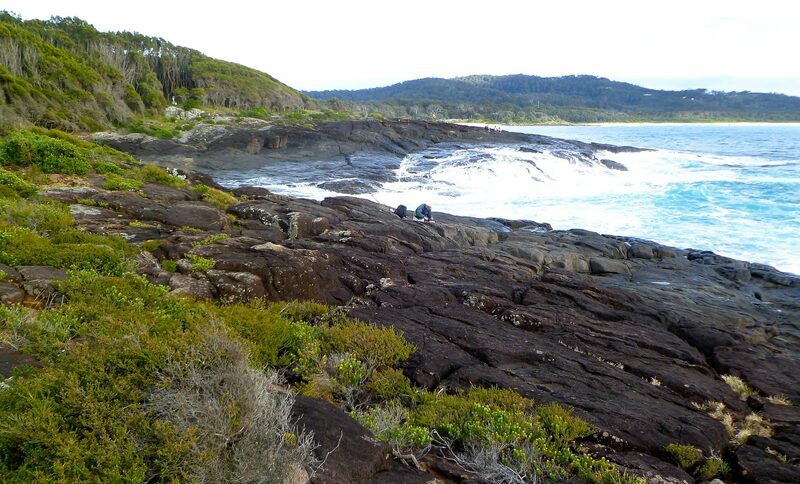 After reaching town we followed the coastal Beach Road until we re-joined Gang-gang’s route at Corrigan’s Beach. 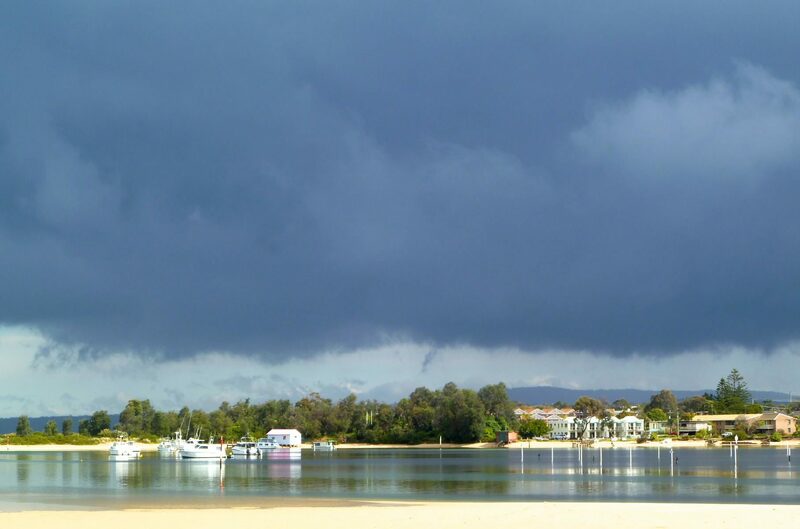 Moruya River to Congo: Gang-gang had prearranged a boat ride across the mouth of the Moruya River. 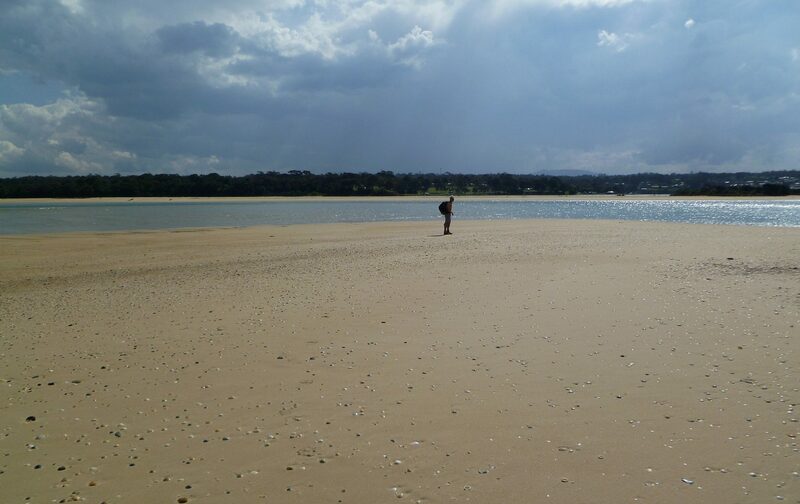 This is a wide river mouth with a lot of current constrained between two rock jetties. We did not feel comfortable swimming this and were not lucky enough to find a boat to take us across. 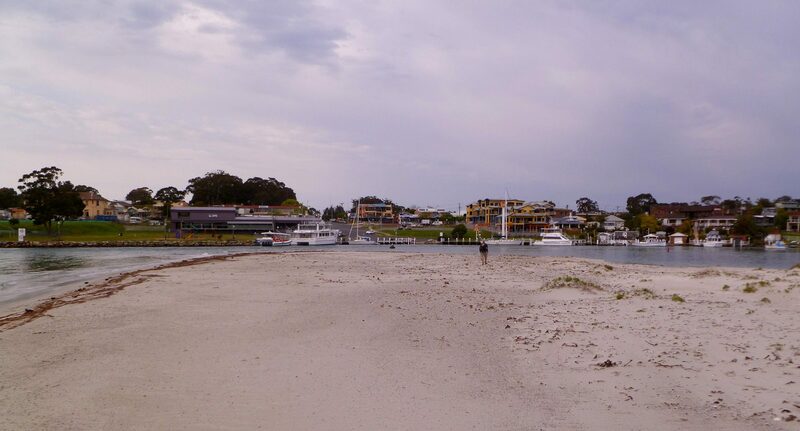 We followed the riverside road up to the Moruya Bridge and crossed it into town. From town we returned to the coast on the other side of the river, but left the main road to Moruya Heads and followed the alternate road to Congo. This was a pleasant walk on a road with little traffic. 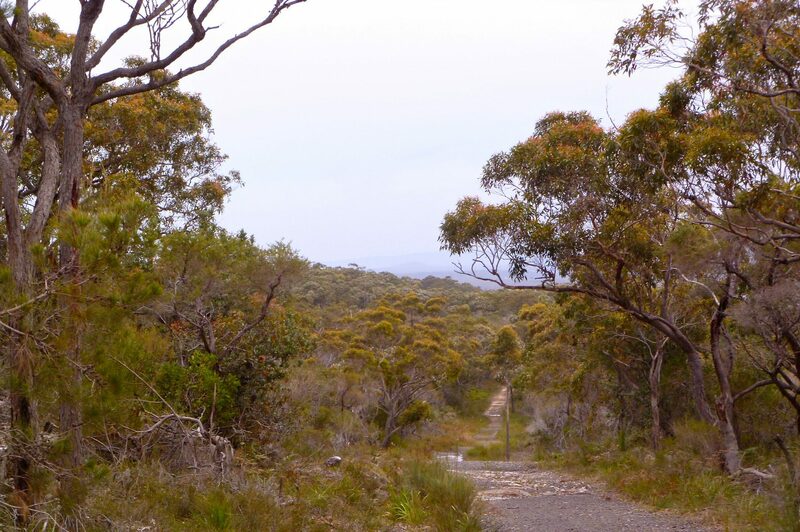 This route passed through portions of Eurobodalla National Park before reaching Congo, which has no services. 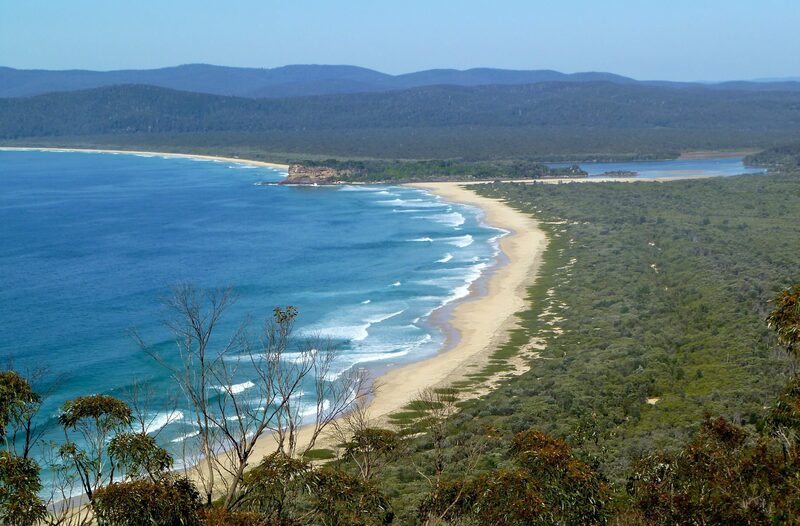 Aragunnu to Picnic Point: Gang-gang reported six hours of thrashing to cross eight kilometers of trail-less coastal bush south of the Aragunnu camping area. After examining maps and satellite images, we decided that there is a better alternative: from the camping area we turned inland on the dirt road. 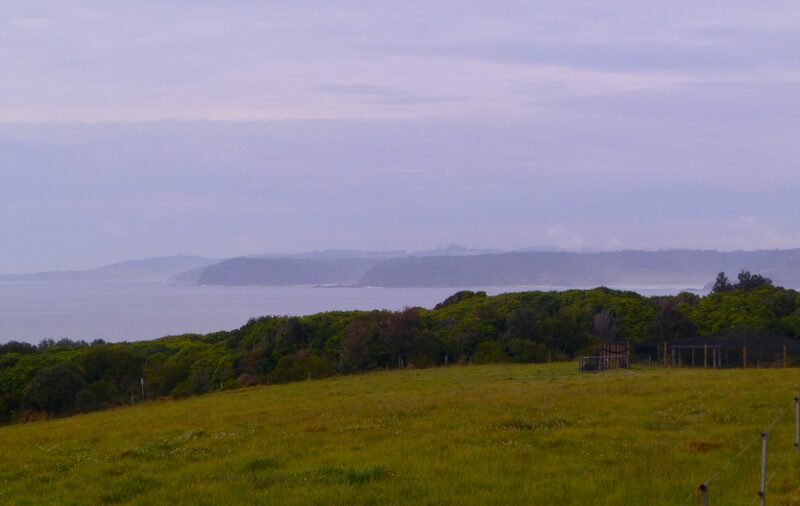 Just beyond where the road started turning west, we easily crossed a short neck of open woodland to fenced open fields bordering the narrow paved road running between the Tathra/Bermagui Road and Picnic Point. 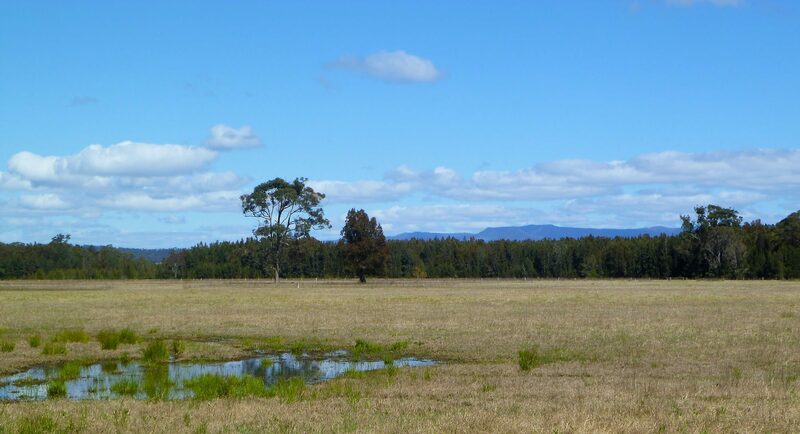 Although these fields are private, they were not posted and we discreetly crossed them without incident and were soon walking along the empty road beside Wapengo Lagoon toward Picnic Point. This option is shown in our gpx track. Disclaimer: Do not rely on our exact tracks for your route; use skill and common sense. The GSCW has many water crossings and we enjoyed the diversity and challenge that they added to the trip. Some have bridges and there is a ferry at Comerong Island. The remaining two dozen or so must be dealt with by other means. If you walk the GSCW, you will get wet. 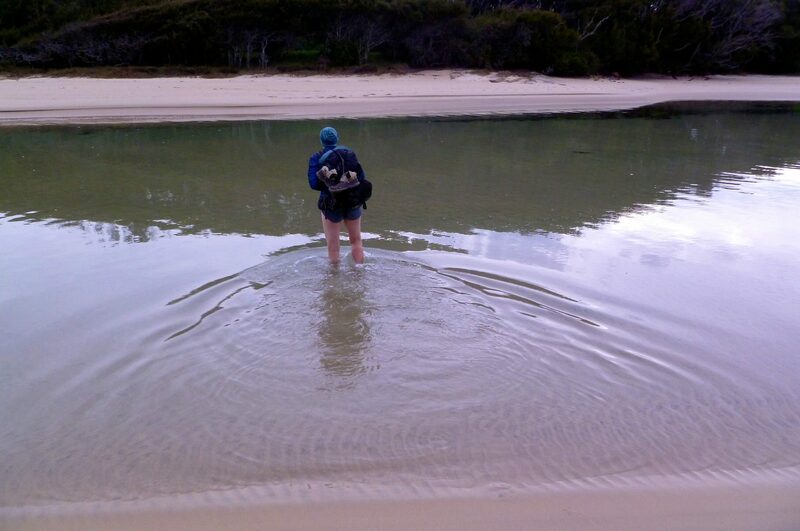 Depending on the tides, some of the crossings can be easily waded with no more than waist deep water. 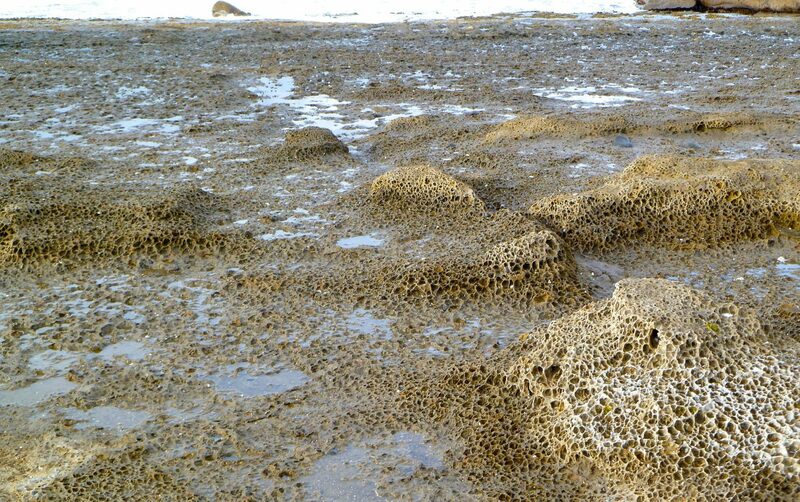 Others are much deeper even at low tide. We were able to find opportunistic boat rides at seven crossings. Some of these rides we got immediately and others we had to wait as long as two hours for someone with a boat to come along, but nobody we asked ever turned us down. Four of the crossings required swimming. The actual number of water crossings will vary from year to year because river mouths are sometimes closed by naturally occurring sand bars. Sometimes storms will reopen these bars and sometimes the government will do it with heavy equipment if the backed up water starts flooding valuable riverfront property. Quite a few of the crossings that looked closed by sandbars in satellite imagery were actually open and had flowing water when we were there. We waded across twelve channels with water between calf and chest deep. 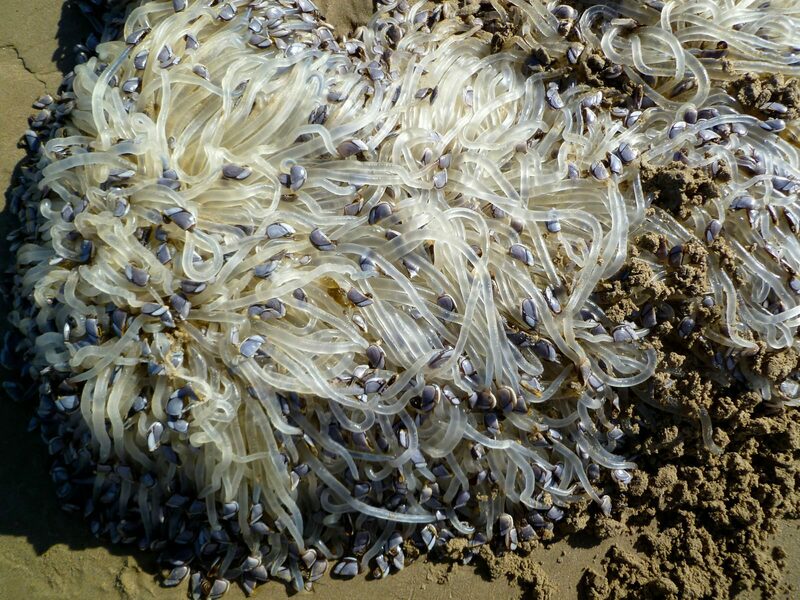 Conditions change based on tide and shifting sand bars and it would not have been possible to wade some of those channels at high tide. Greenwell Point. You must go by boat, as it is too wide to swim even in warm water and slack tide. A family was leaving the dock just as we arrived, and they gave us a lift. Gang-gang arranged a ride from a nearby boat rental operation. Sussex Inlet. Here again you must go by boat. We got a lift from the friendly owners of the Christians Minde Retreat. Gang-gang caught the attention of the boat rental operation on the dock on the other side of the river, but there was nobody there when we arrived. In retrospect we should have called the Retreat in advance, as it is a private lodge and private dock and it was awkward that we showed up randomly. 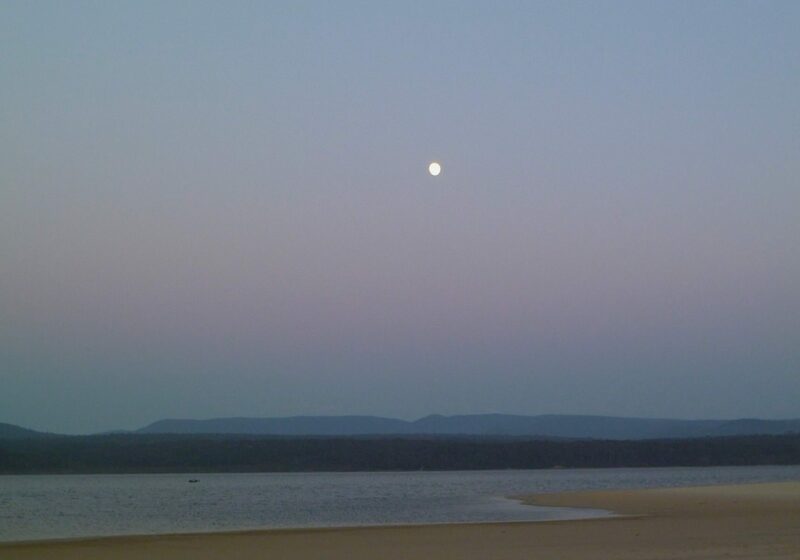 Durras Lake outlet. We did not attempt to swim because the water and air were cool and we were not inclined to get wet. The tidal current was flowing and we did not want to wait for slack tide. 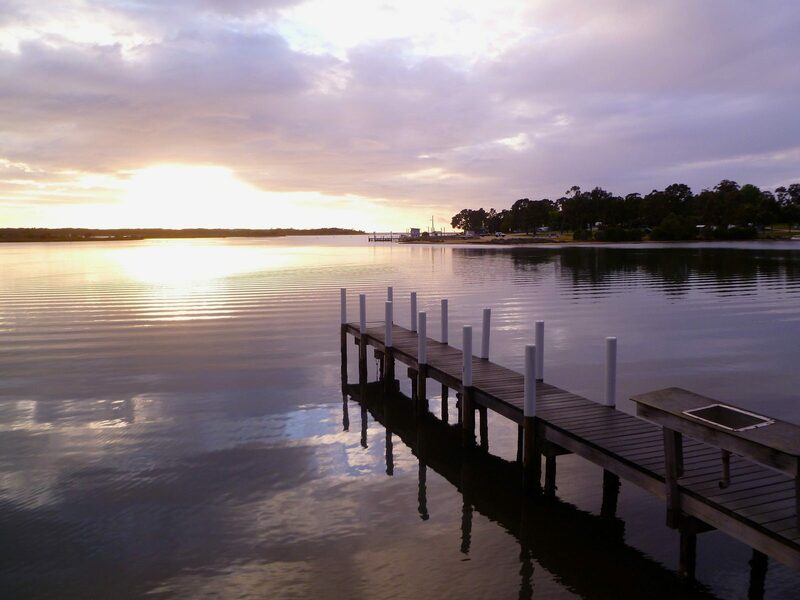 It should not be a problem to swim at slack water at either high or low water, particularly if the water is warm. Tomaga River. 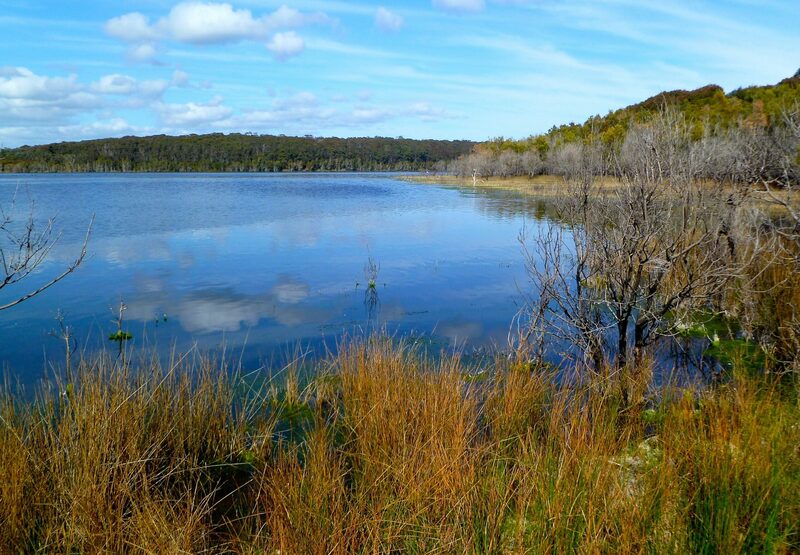 Same story as Durras Lake. 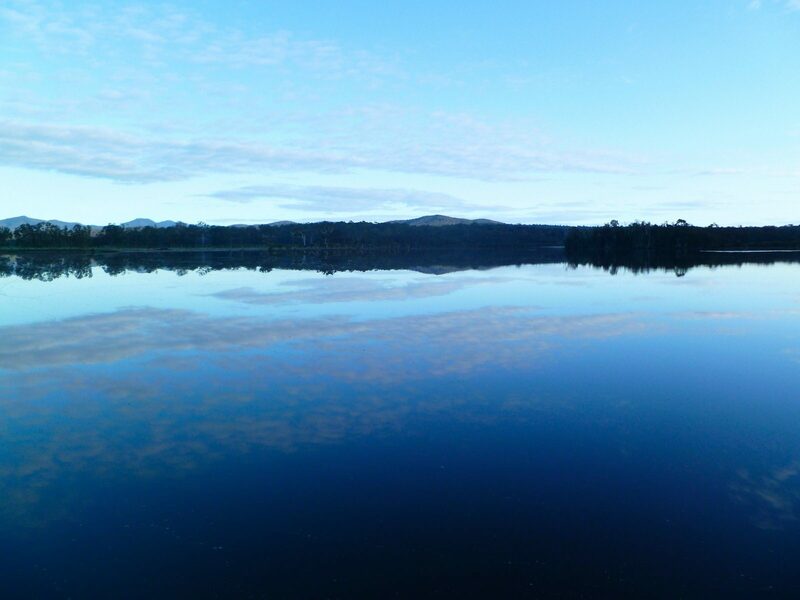 Tuross Lake outlet. Same story as Durras Lake. 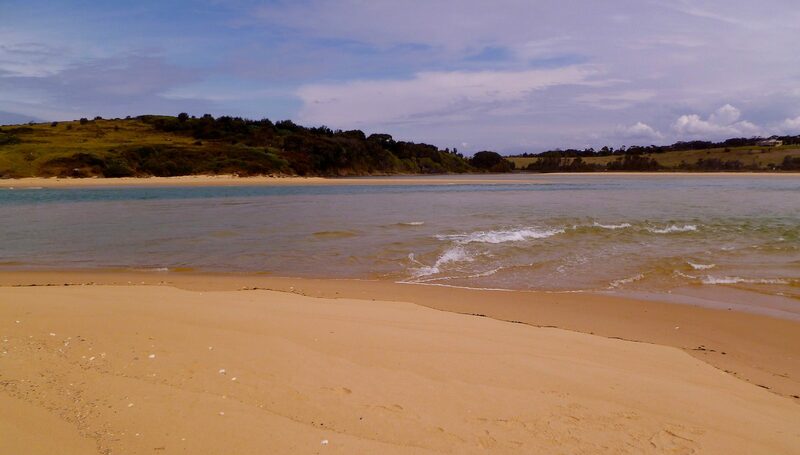 Pambula Lake outlet. Swimmable at low tide slack water, but not swimmable when there is tidal current, and possibly too wide at high tide slack water to swim. 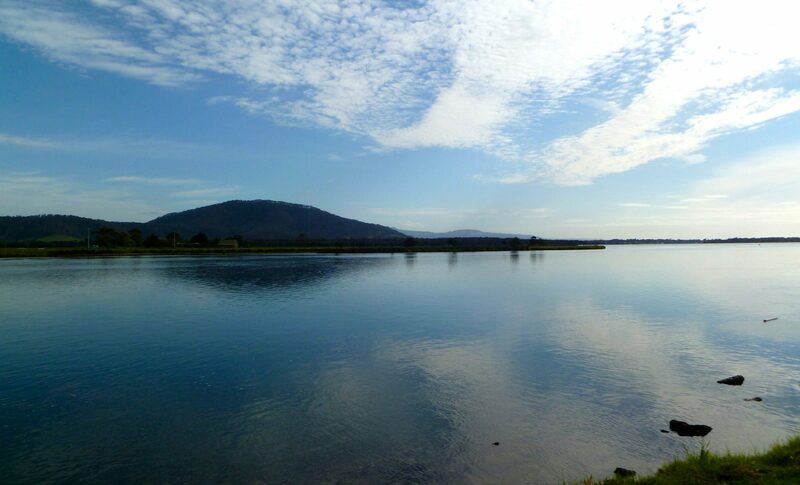 Mallacoota Lake outlet. Same story as Durras Lake. 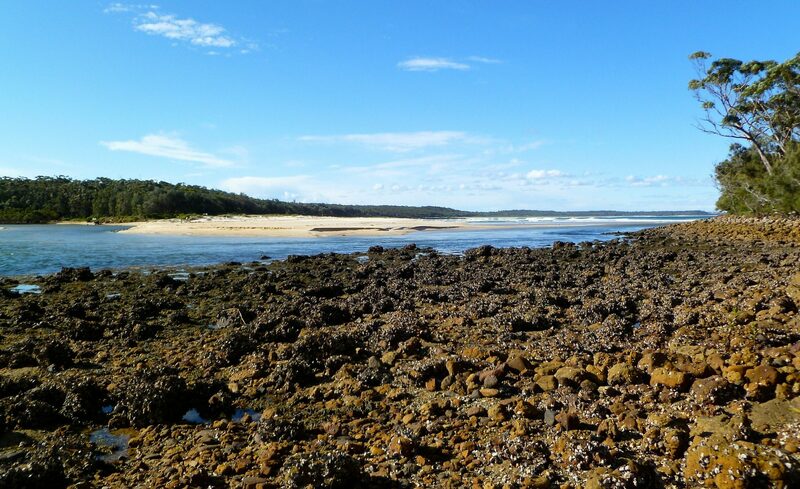 Huskisson River: We swam across at fairly high tide when there was strong inflowing current. 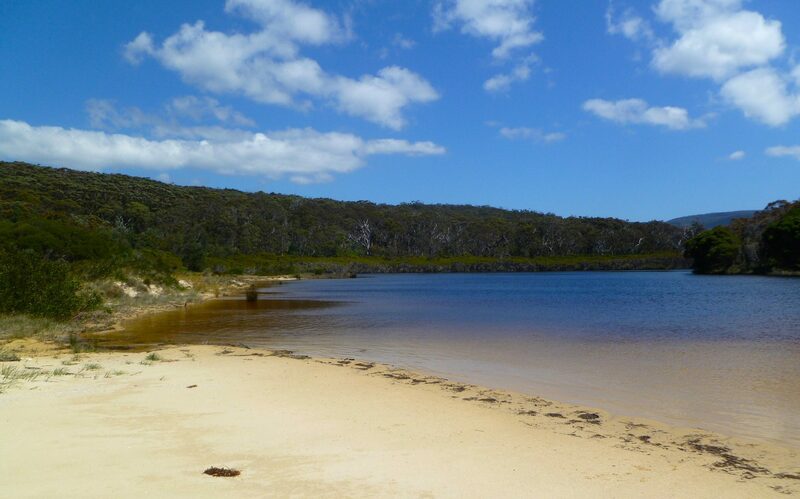 Wallaga Lake outlet: We easily swam when there was inflowing current at fairly low tide. 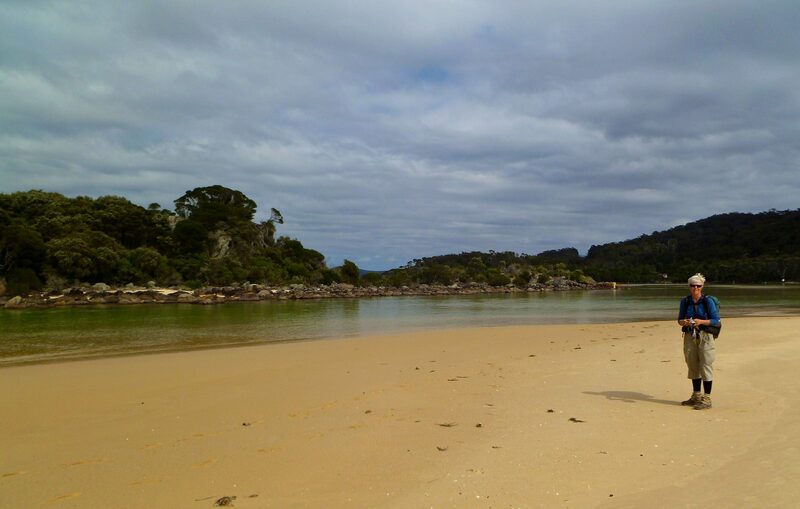 Wapengo Lagoon Outlet: We easily swam at slack tide. 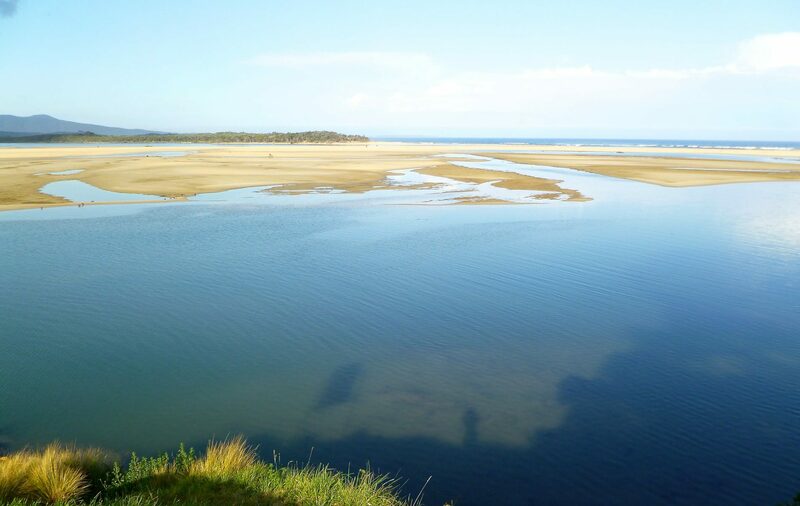 Mallacoota Lake backwater: We got a boat lift across the main channel to a big sandbar, and then after walking several hundred meters on the sandbar we swam across a calm backwater to shore. We each carried a Sea to Summit eVAC 65-liter Dry Sack in which we put all of our gear including packs, food, and shoes. These bags weigh 5.2 ounces and worked extremely well for us. We added a nylon cord and a Velcro ankle strap so we could swim without the risk of losing the bags to currents. The bags also provided decent flotation during the river crossings and they never leaked. The water was 16º-17º C (61º-63º F), not comfortable, but also not dangerous. 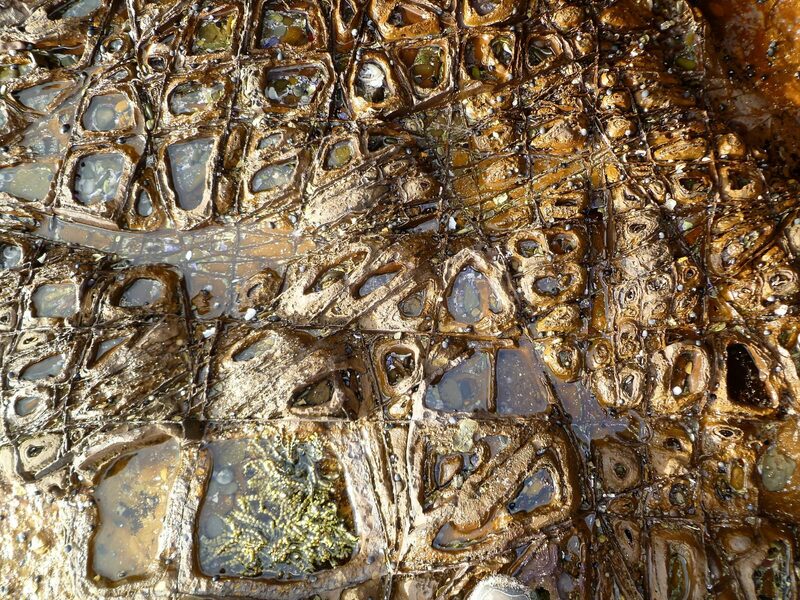 We wore lightweight wading shoes when we swam, which was necessary as some crossings have piles of extremely sharp rocks and shells along their shorelines. 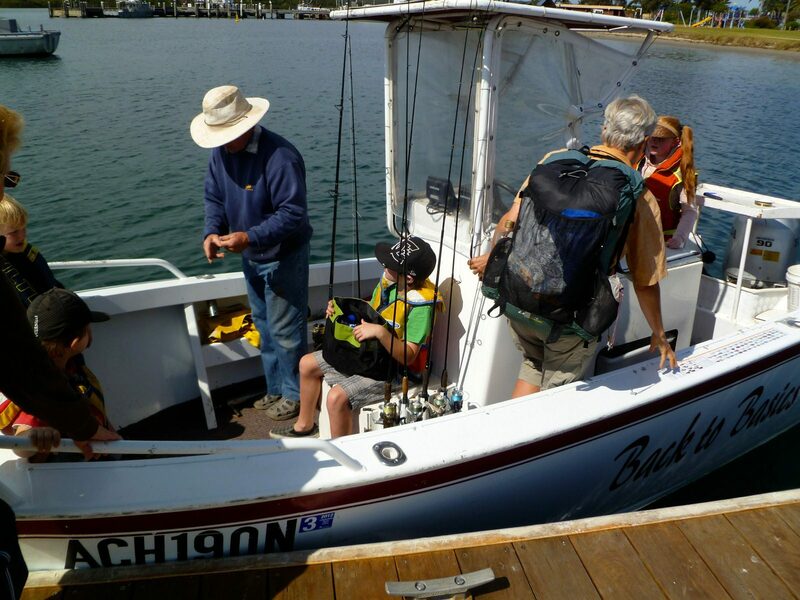 In Sydney we took local trains to Cronulla and then a ferry to Bundeena, the start of the GSCW. Bus service between coastal Mallacotta and the inland Princess Highway at Genoa is extremely limited and must be reserved in advance. From Genoa, buses can return you directly to Sydney or to the train in Wollongong. Check current schedules prior to starting the trip. 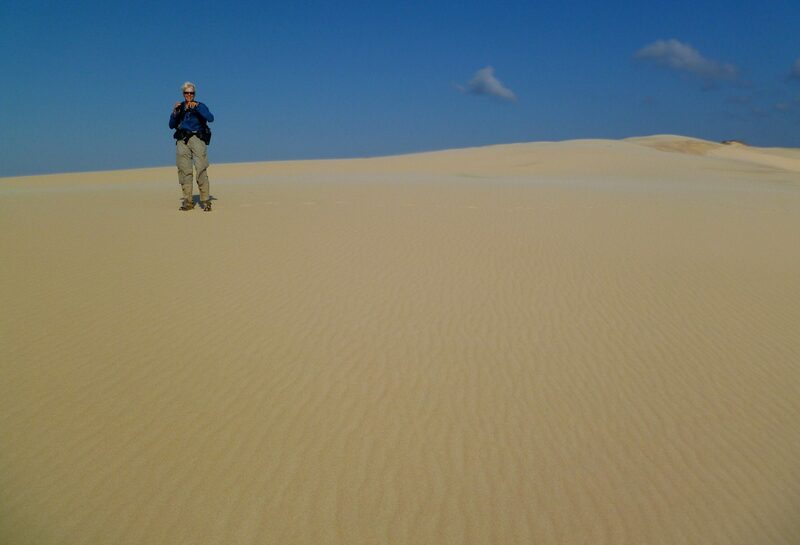 We used an iPhone with Gaia GPS. Australian national agency topo maps are very expensive and we decided they were not necessary, so we printed our own maps and they proved to be perfectly adequate. The best option now for creating paper maps is to use CalTopo to create a pdf mapset. 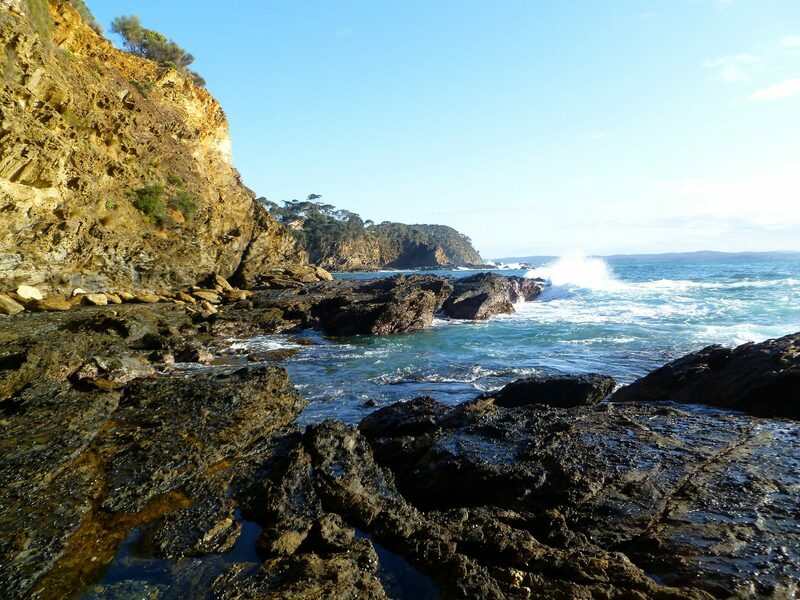 Our trip took place during Australia’s early spring. We had some warm weather on the preamble GNW hike, but by the evening of the first day on the GSCW the weather pattern had changed and we had generally much cooler than normal temperatures for most of the remaining walk. We also had at least some precipitation on thirteen of the following 31 days. For the most part the rain was light and not especially troublesome. 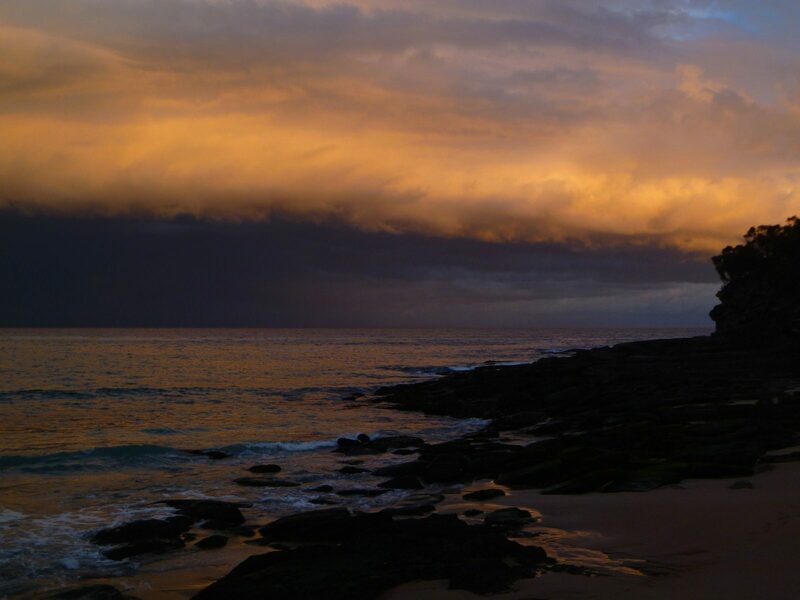 We had very heavy rain and high winds most of the day in the Wollongong area and intermittent heavy rain in the vicinity of Bateman’s Bay. We also had a few spectacular nighttime thunderstorms. Afternoon winds were common on the coast. 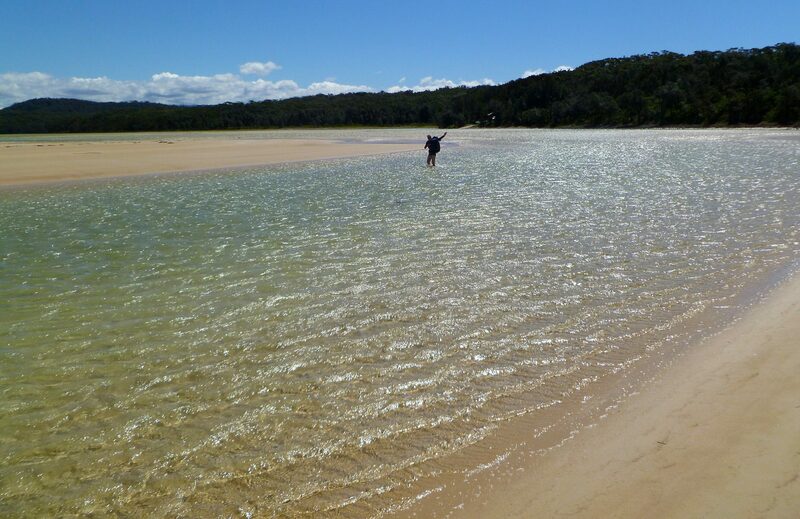 The cool temperatures were ideal for walking, but not for swimming across estuaries. On the GSCW the combination of cool air and cool water meant that we did not do any recreational swimming and the water crossings were viable, but not particularly enjoyable. 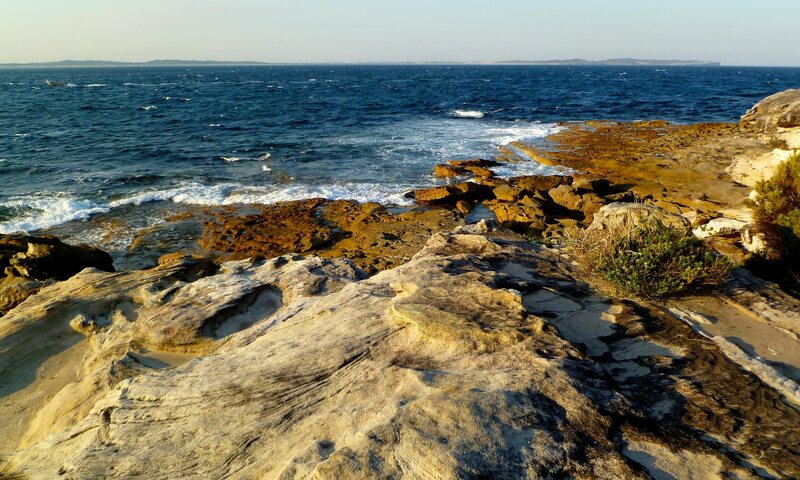 Because the GSCW is primarily a coastal route, we don’t think it would be too hot to hike it in November or March, when the water temperature would be warmer and the swimming more pleasant. We chose to go early in the season even though the water temperature was marginal for swimming because we don’t like hot weather and we expected fewer people since schools were still in session. We don’t cook on our backpacking trips. 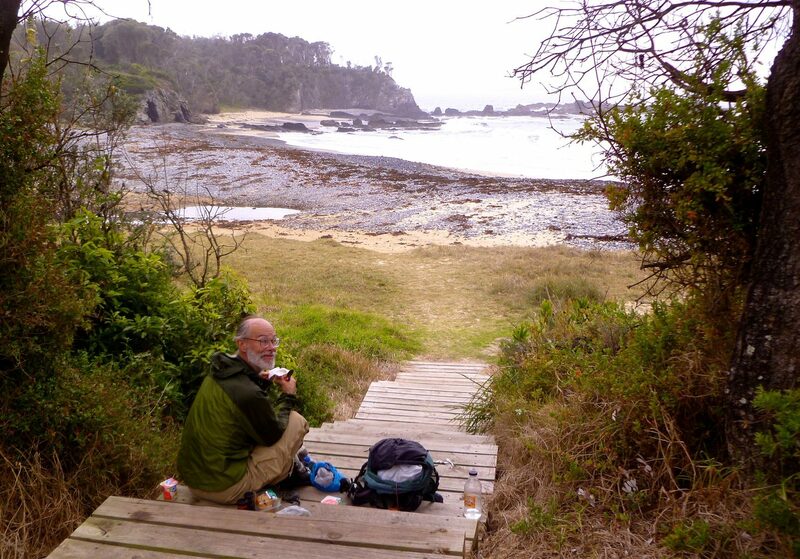 We eat hot food in restaurants when convenient, and buy picnic supplies at local markets. We were able to find most of our staples at every shop, even at the smallest markets. At the bigger supermarkets we could find a greater diversity of deli food to carry with us. Americans will find food in Australia to be relatively expensive in both restaurants and shops. Hot whole BBQ chickens from Coles, Woolworths and other supermarkets provided the core of a tasty, filling and inexpensive meal and we ate a lot of them. We also found that anything made by the Arnott’s brand of packaged crackers and cookies was consistently good: dark chocolate Tim-Tams are terrific! Obtaining food was never a problem on the GSCW as the small towns usually had a shop, a restaurant, or both. On a couple of occasions, we had to carry two days worth of provisions, but otherwise we only had a few meals in our packs. We particularly enjoyed the small shop in Stanwell Park where the proprietor was extremely nice and made us great burgers. We also enjoyed the tiny store in Wonboyn; while the selection of groceries was limited, the cheerful woman who ran the store let us wash some clothes and cooked us a decent meal. 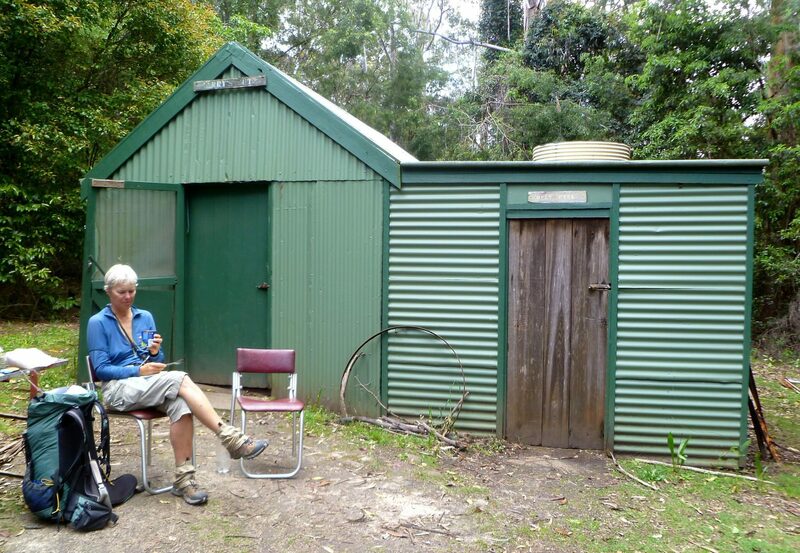 We camped every night except for a stay at the friendly Harbor Lights cabins in Mallacoota. We never camped in commercial caravan parks. ”No camping” signs are everywhere, but we ignored those signs and never had any issues with people bothering us. The entire time we were in Australia we saw only a single park ranger. We stopped opportunistically towards the end of each day and never had a specific campsite planned ahead of time. We practiced routine stealth camping techniques. 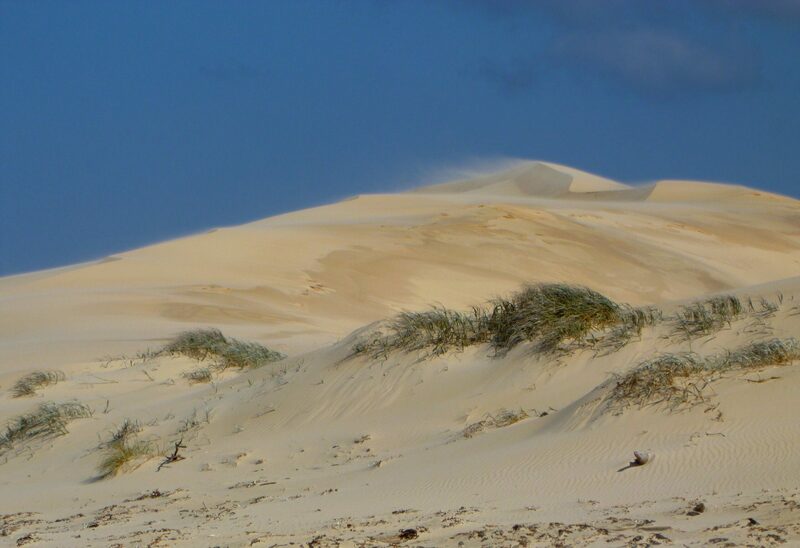 We frequently camped on the beach or in the dunes behind the beach. 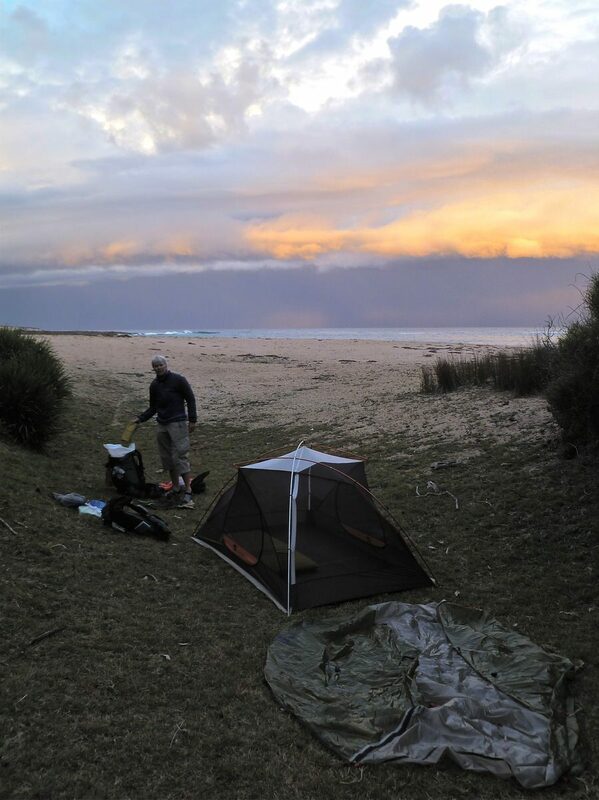 We also camped on the lawn next to the Stanwell Park Surf Life Saving Club and on a covered porch attached to the Tathra Amateur Fishing Club building which provided cover from an unexpected evening rainstorm. 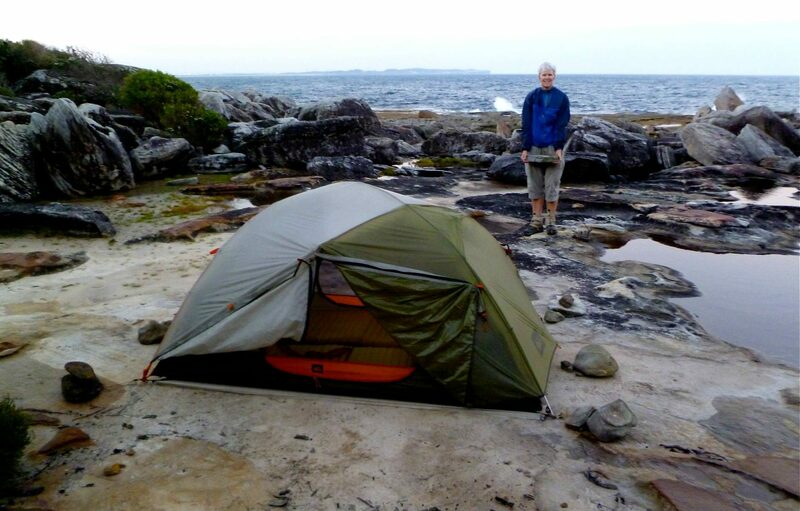 In Sussex Inlet we ran into a local policeman and asked if we could camp alongside the river in the town park. He was very friendly and told us he would notify the owners of the nearby businesses to let them know who we were and that everything was OK. 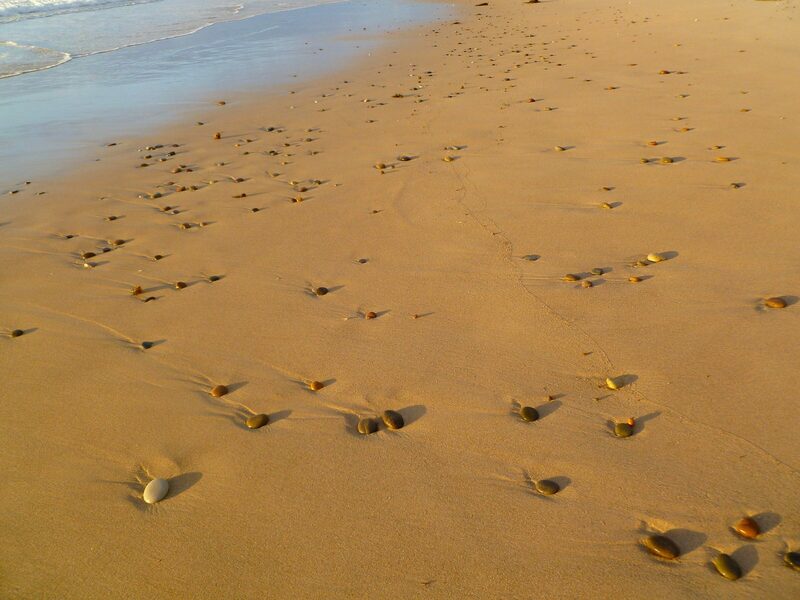 Anyone who goes walking in Australia and ignores the birds is wasting one of the highlights of travel there. 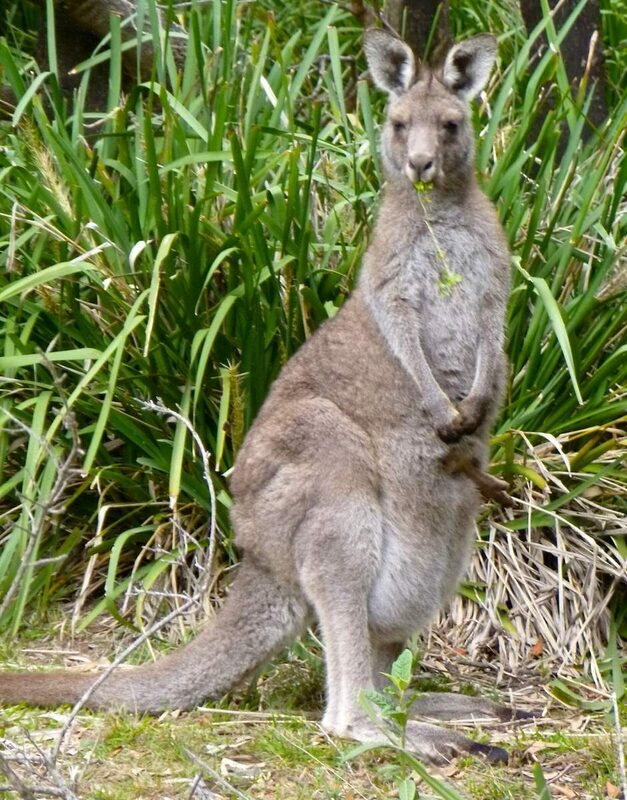 The Australian avifauna is one of the finest in the world. The birds are colorful, noisy, often confiding, diverse, and have much interesting behavior to watch. The calls and songs are astonishing and bird racket is constant and sometimes overwhelming. One evening we were eating dinner at a picnic table while the Sulfur-crested Cockatoos were coming home to their roosts. As the birds discussed their day’s adventures, the din was so loud it drowned out our conversation. Casually birding as we walked along, we saw about 195 species. A serious birding trip would yield many more. Highlights included a Pied Currawong visit during a picnic lunch, and watching as gangs of drunken Rainbow Lorikeets engaged in bird wrestling contests. Insects were rarely a problem during our trip. We had a few large biting flies once or twice and mosquitoes were noticeable at a couple of campsites, but not an issue during the day. We understand that insects can be unpleasant later in the season. We saw about a dozen snakes, including several we knew were venomous. We talked to many people along the walk who remarked about snakes as in “Aren’t you worried about snakes?” Based on pre-trip research, the number of snakebites in Australia, let alone fatal ones, is actually not very high, but we were aware of snakes and paid attention to where we put our feet. As our walk was in the early spring when the snakes were just become active, they may be more of a problem later in the season. For those who are really concerned, heavy bite-proof gaiters may be a solution. I’m so glad you note birding possibilities, rare in hiking literature. What month did you take this hike? Enjoying your site immensely! 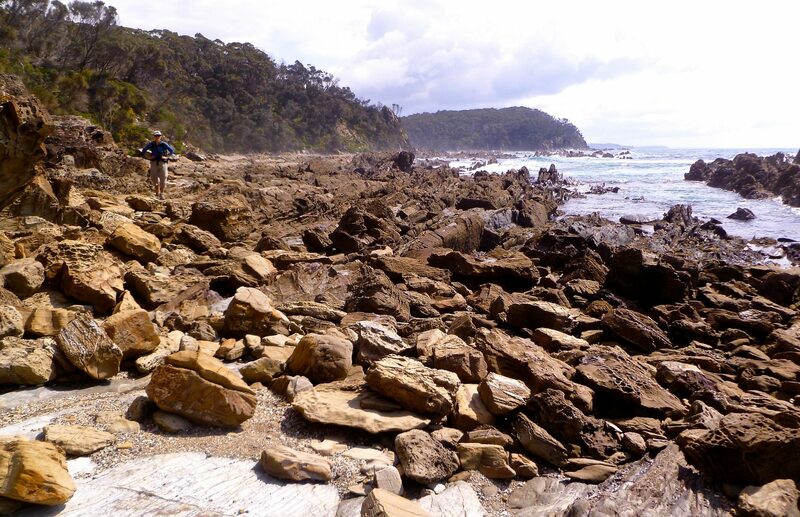 We live in Sydney and did Bundeena to Otford just 3 days ago as a great mid-winter daywalk. We also love gang-gang’s site and shamelessly use their itineraries. We did Tour Mont Blanc 5 weeks ago based on gang-gang’s diary and loved it. 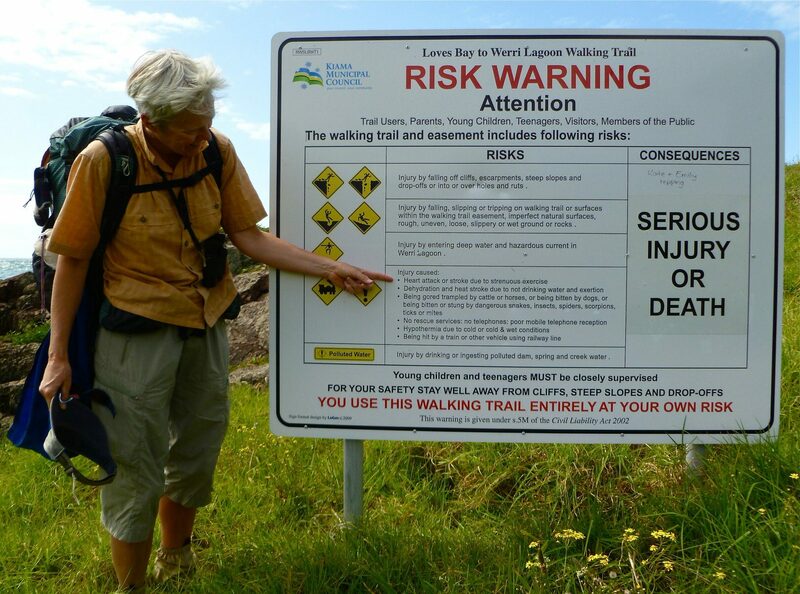 My son has finished part of the great Northern track – and linked to the southern track – now on Comerong Island – he is loving the walk – and wants to finish in Tasmania – walking. 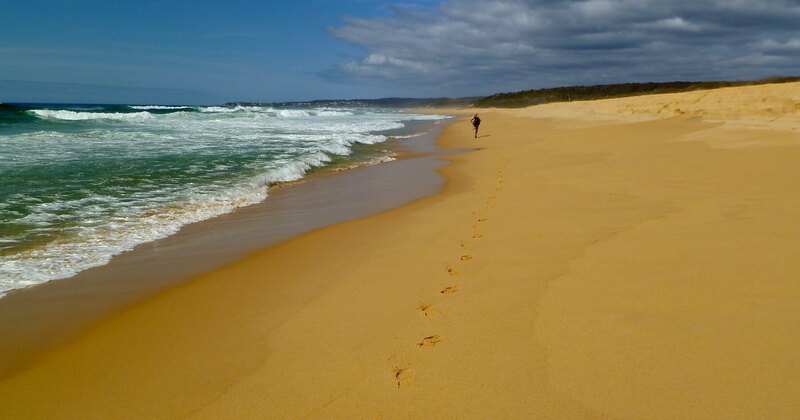 I think this is a great walk if you can do this. 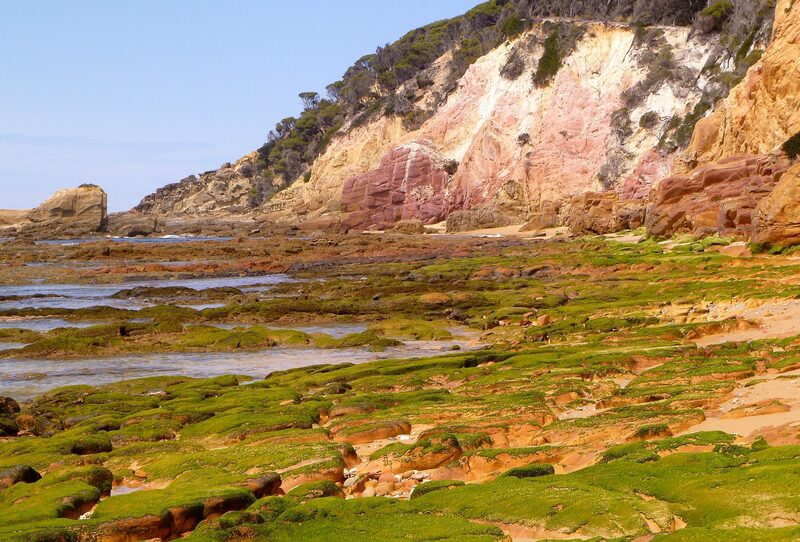 Vicki, we are very excited to hear that your son is out walking the Great South Coast Walk. We are eager to hear more about his trip. Thanks. Great to hear that your son is doing the walk – don’t let him forget to let us know via the website (http://greatsouthcoastwalk.net/) when he finishes, so that we can add his name to the roll of honour of end-to-end walkers. Also, any advice or comments on the route are most welcome. 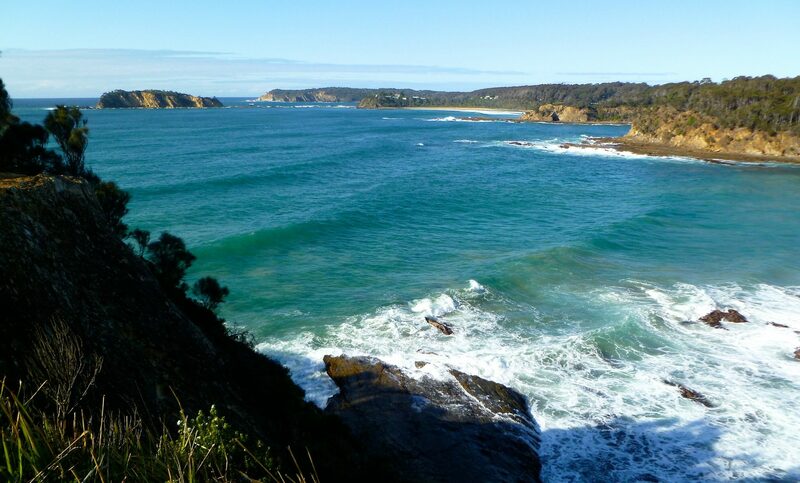 Just wanted to say thanks for helping to spread the word about the Great South Coast Walk. Actually, the fact that you came all the way from America to do the work played a big part in inspiring us to take the idea that one step further and begin to promote it. Creating the greatsouthcoastwalk.net website was one way of doing this. More and more people are now doing parts of it or walking end-to-end, so the concept of a formal long-distance walk is getting some traction. 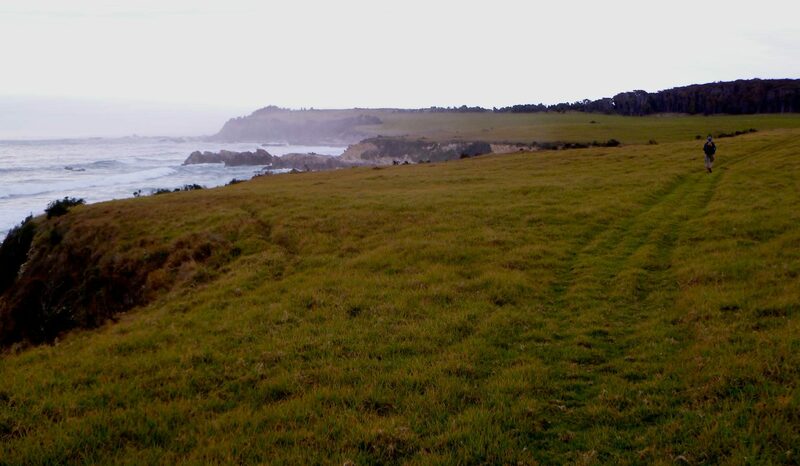 We now have a Facebook page (called Great South Coast Walk) to announce updates, track improvements etc. 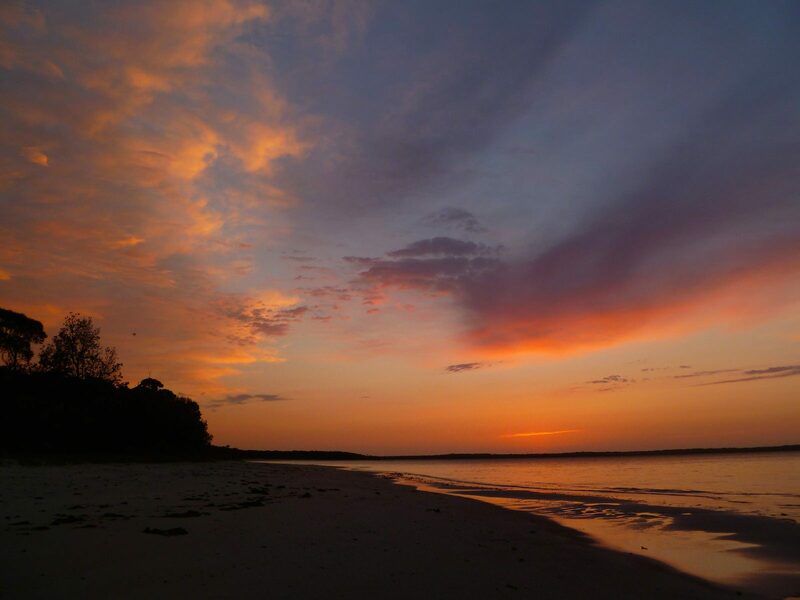 The last post is about your detour on the rocky section of shore-line from Armonds Beach to Murrah Inlet – a great route and a way to avoid crossing private land. Thanks for pioneering this bit.